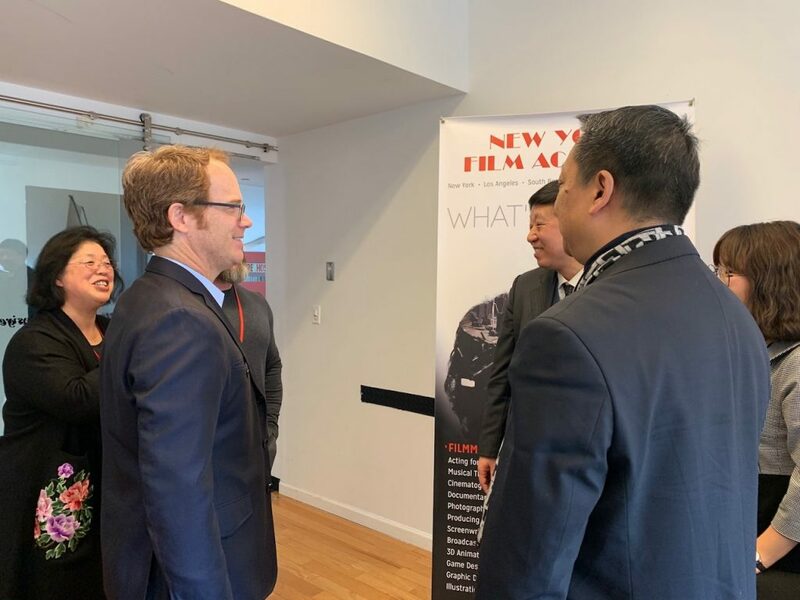 Earlier this month, representatives from the Jinling Institute of Technology (JIT) visited New York Film Academy (NYFA) at its New York City campus near Battery Park in downtown Manhattan. 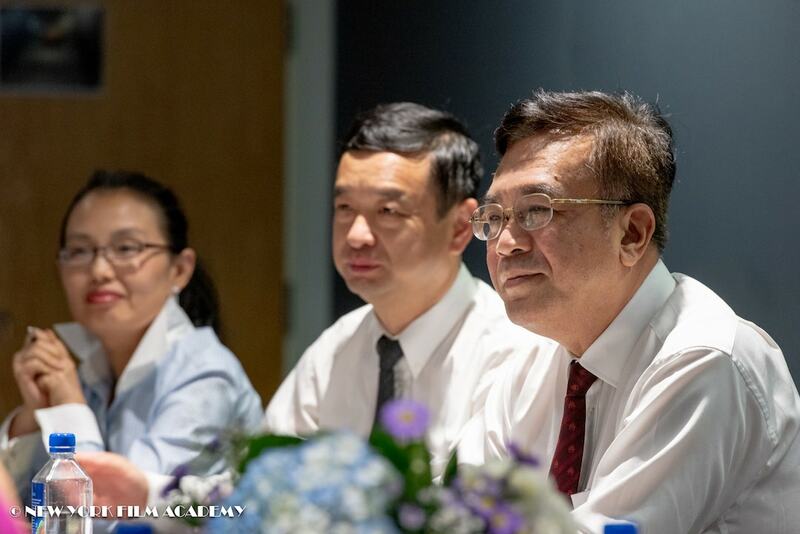 The Jinling Institute of Technology is an officially accredited higher education institution located in Nanjing, Jiangsu. 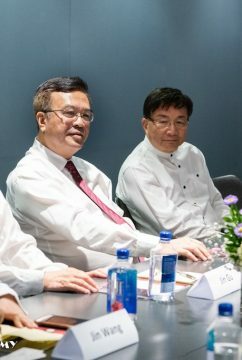 The distinguished representatives included Mr. Chen, Professor, Party Secretary, Jinling Institute of Technology; Mr. Dai, Professor, Dean, School of Animal Science and Technology; Mr. Xing, Professor, Dean, School of Art; Ms. Zhao, Deputy Head, School of Animation; and Ms. Fang, Deputy Chief, Foreign Affairs Section, Office of International Exchange & Cooperation. 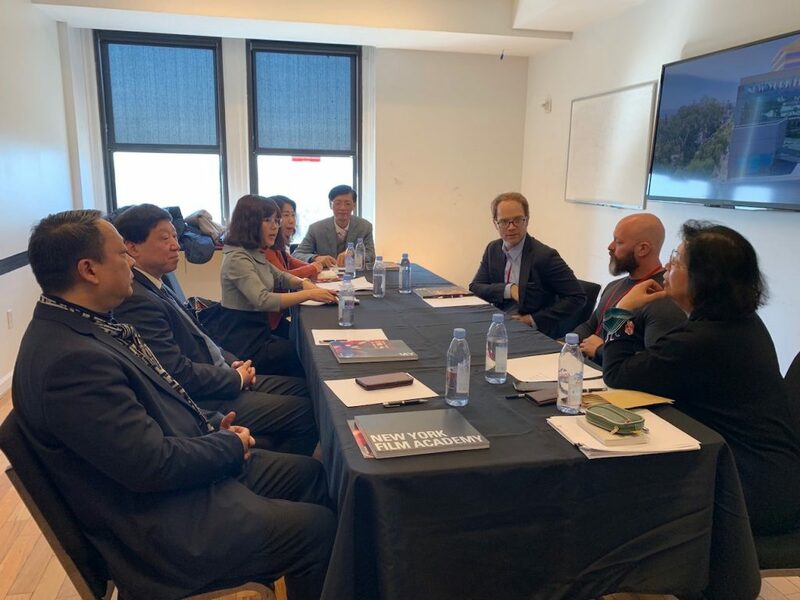 The representatives sat down with Michael Young, President of New York Film Academy, Mr. David Klein, NYFA Senior Executive Vice President, and Dr. Joy Zhu, NYFA Executive Vice President for the China Region. 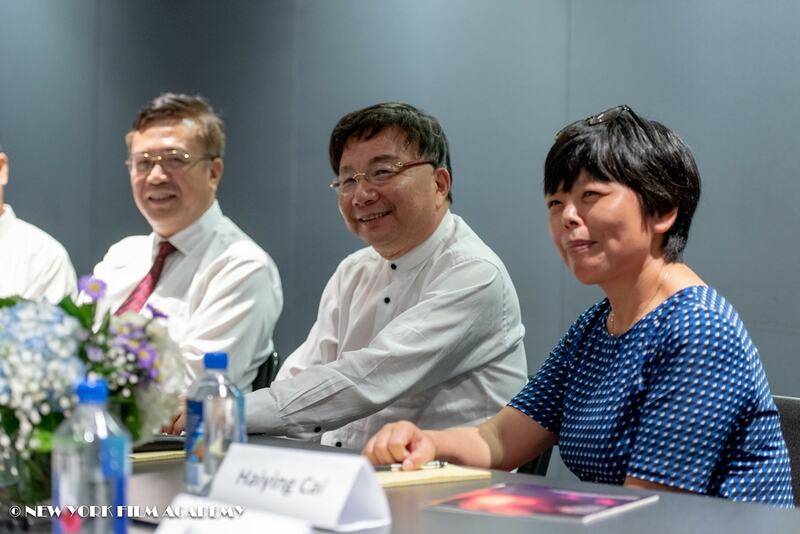 At the gathering, President Young and Dr. Zhu introduced the history of the New York Film Academy, its various disciplines, and the characteristics of each discipline. 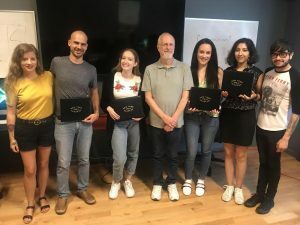 They highlighted NYFA’s commitment to an intensive, hands-on approach to education in the visual arts, as well the high employment rate of NYFA graduates, especially from the Academy’s Animation department. 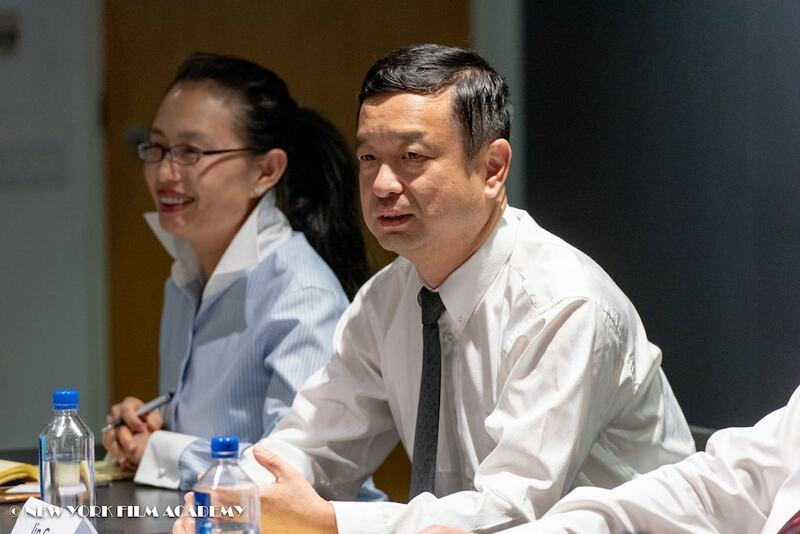 Additionally, the representatives from both institutions discussed their respective student bodies. 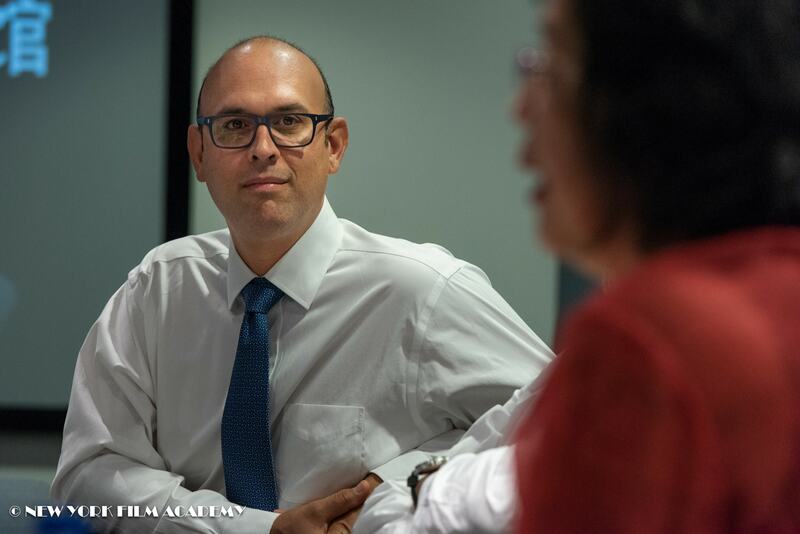 The student body of NYFA is not only talented but diverse in many ways. 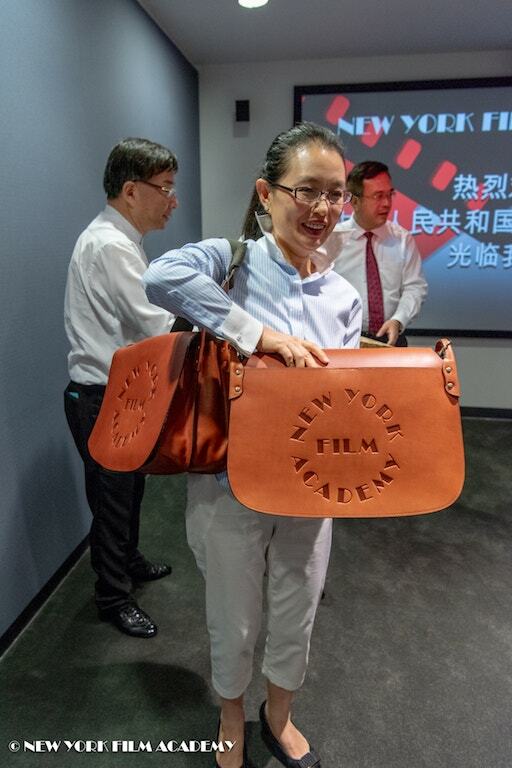 Not only can students from China attend NYFA workshops, but also teachers and other administrators. 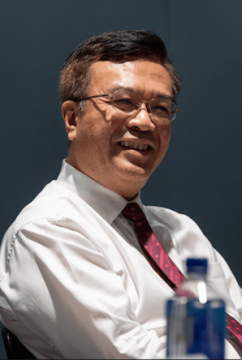 Mr. Chen noted that roughly half of the students of JIT study engineering, mathematics, art & media art, but that the school is interested in cultivating more composite talents. 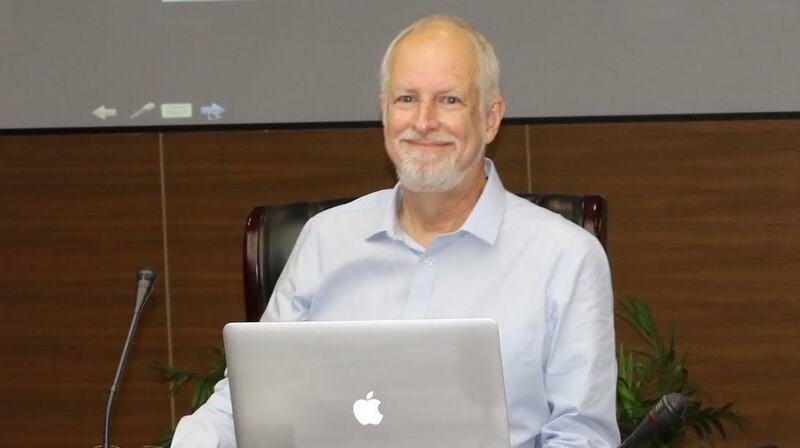 He also expressed his thoughts on less theory-oriented and more hands-on education for students in general. 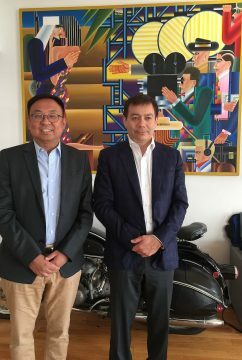 Both parties shared mutually agreeable views on co-cultivating additional students that are especially talented in their respective fields, including 3D Animation & Visual Effects, and both looked forward to further cooperation between the two educational institutions in the near future. 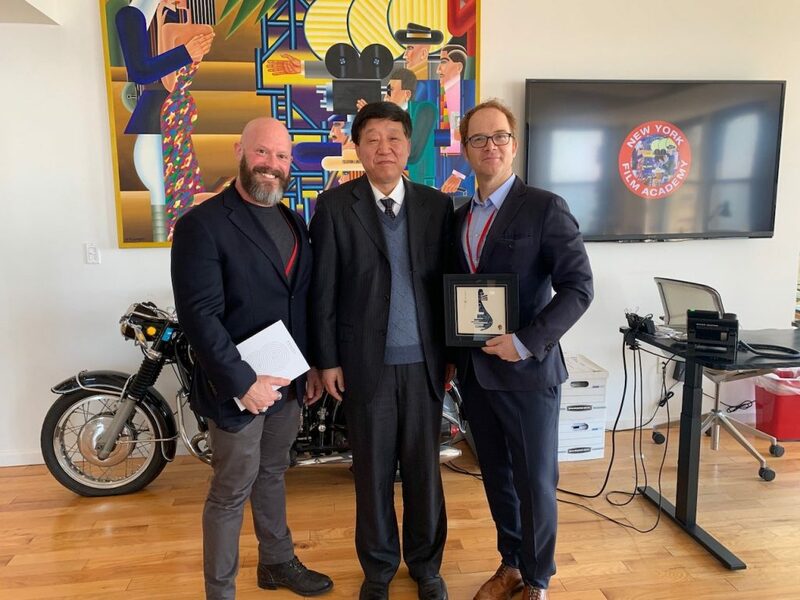 The New York Film Academy thanks the representatives from the Jinling Institute of Technology for their visit and for a meaningful and intelligent discussion over several topics both schools find very important. 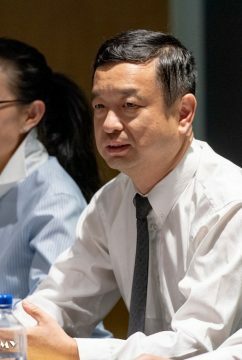 On December 20, New York Film Academy (NYFA) MFA student Shi Tanxuan showcased his short film, Lip Reader: Game of Detective at the 15th Guangzhou College Student Film Festival, one of China’s most prestigious student film festivals. 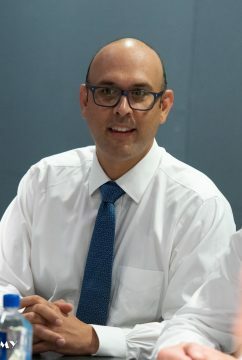 It came away as one of the festival’s biggest winners. 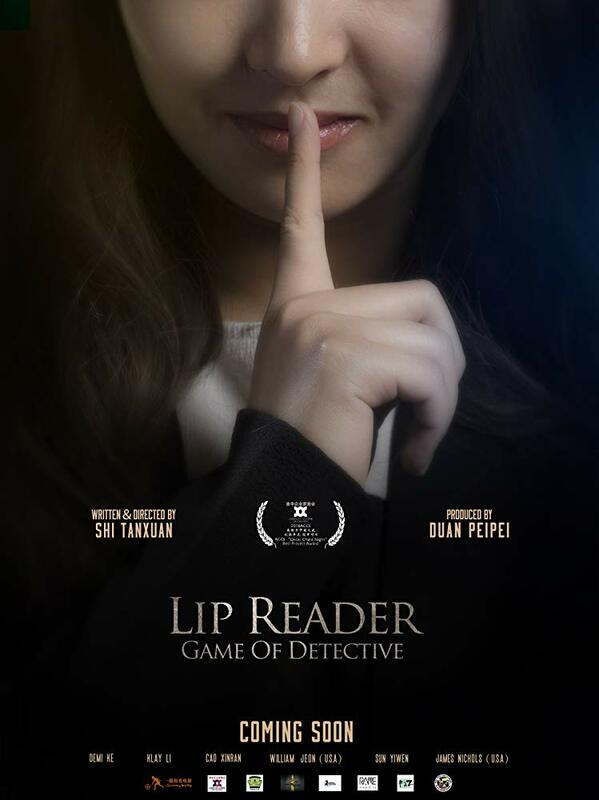 Lip Reader: Game of Detective is a comedic detective story, written to be part of a cinematic, “special detective universe” — a rare and ambitious trait for a student film. 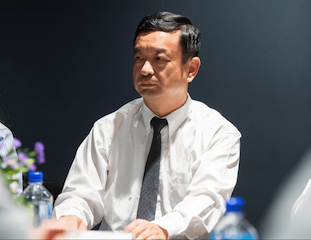 Lip Reader tells the story of Lin, a college student with a severe hearing impairment, who has a fantastic talent for reading lips. 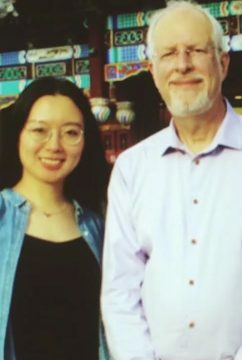 Lin, who works as an “intelligence analyst” for a paparazzi company, must track down a missing $20 million diamond necklace two days before a popular Chinese actress is to wear it at the Academy Awards. 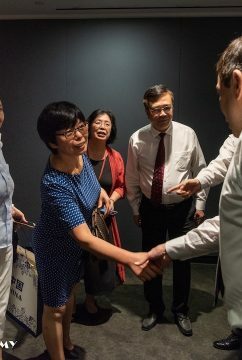 Lip Reader stood out from more than 500 short films at the 15th Guangzhou College Student Film Festival. The event is one of two college student film festivals approved by China’s State Administration of Radio, Film and Television. 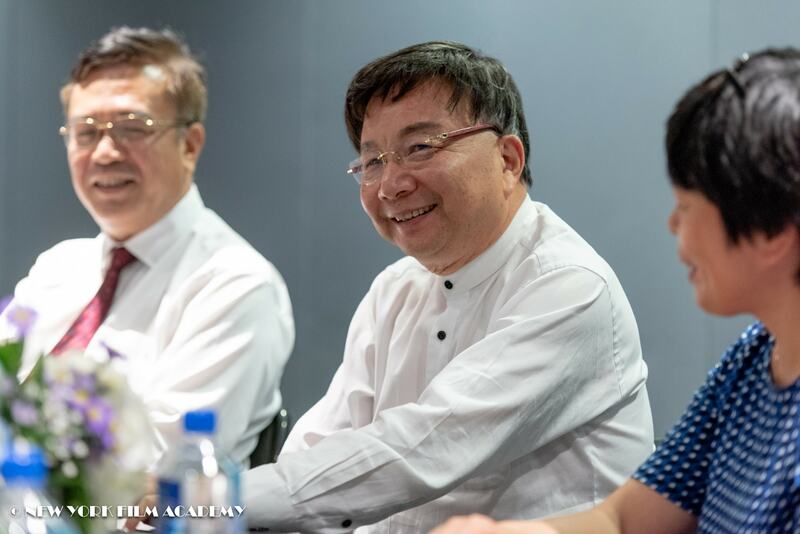 Popular with students across the country and beyond, it plays an important role in promoting Chinese movies. 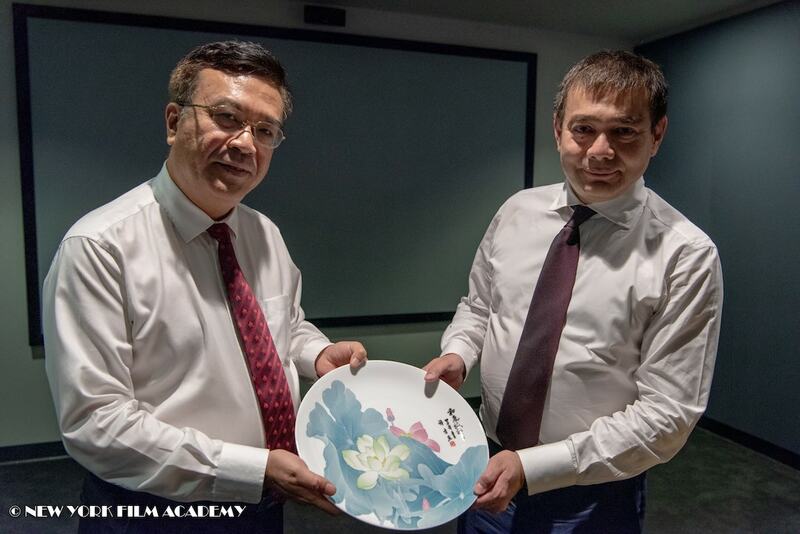 By the end of the festival, it had won the Gold Award in the “Original Motion Picture and Animation Film Competition (Drama) competition. 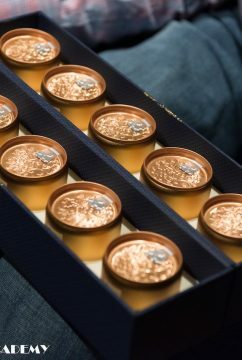 Additionally, it picked up the “Huayi Brothers Media Group Star-making Entertainment Special Award” at the award ceremony. 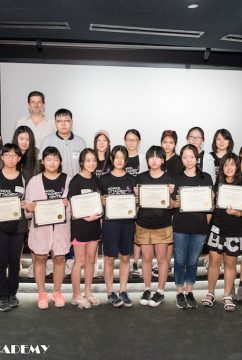 The New York Film Academy congratulates the above students and alumni on their hard work and wishes Shi Tanxuan the best of luck as he expands the story and universe of Lip Reader: Game of Detective! This is a big week for me, and for a group of instructors, here at the New York Film Academy (NYFA). 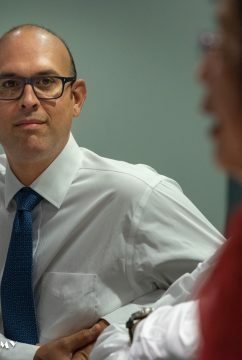 On Wednesday, my latest documentary will make it’s US television premiere. 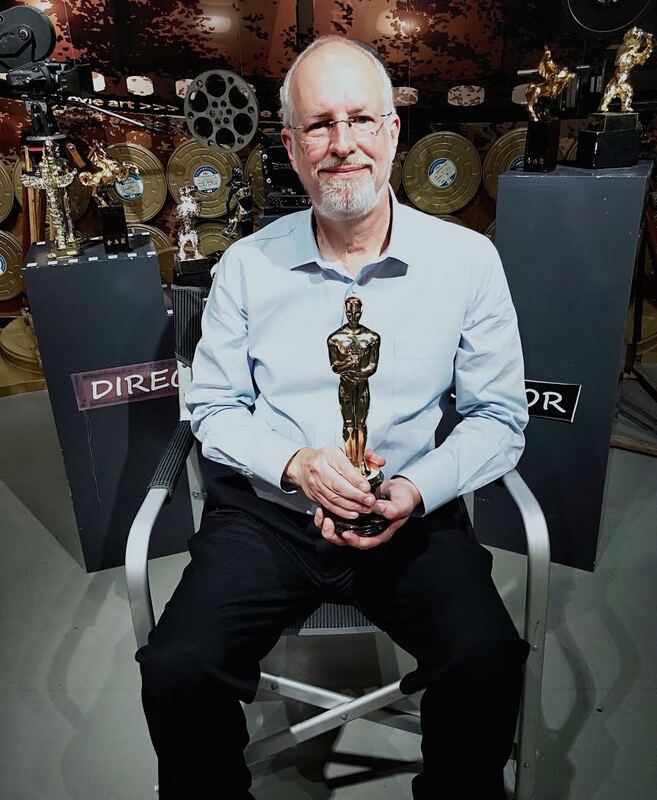 And it could never have been made without the support of NYFA, and my fellow faculty members. Distributed by American Public Television, Shanghai 1937: Where World War II Began will debut on WLIW/21 in New York on Wednesday, November 7 at 10pm. 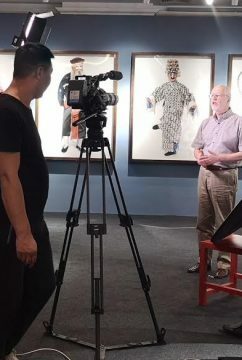 The following evening, November 8, the program will air on NJTV at 9pm and will be seen by viewers in New York, New Jersey, and Philadelphia. 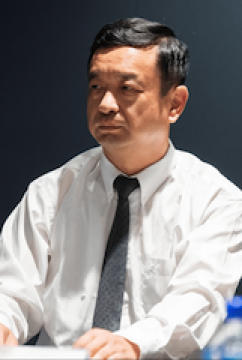 (A schedule for key US markets can be found below.) 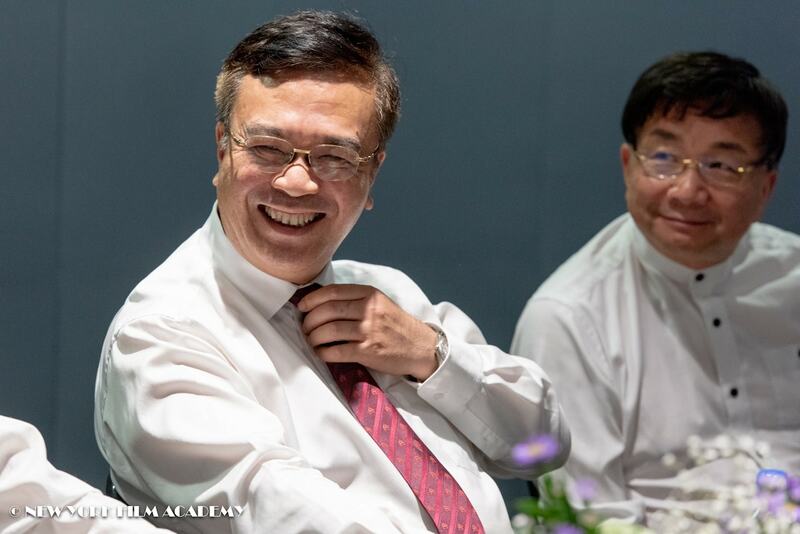 Eventually we anticipate 200+ channels airing the program. 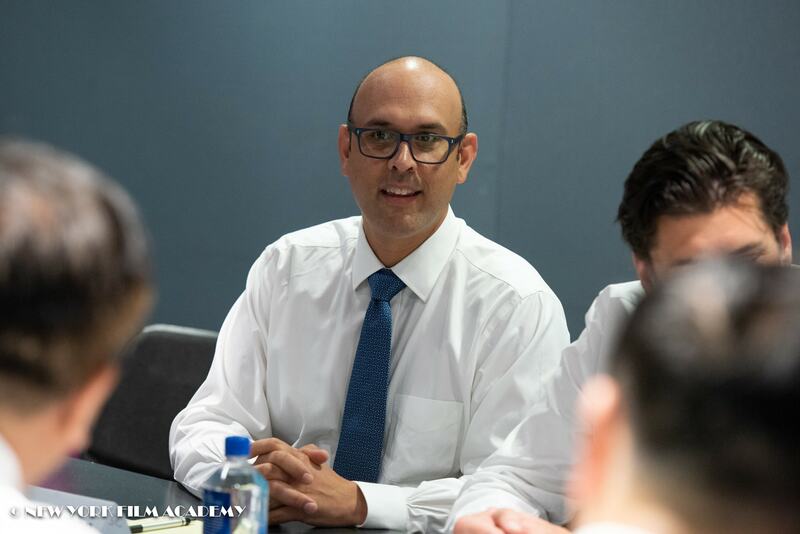 Following a six-month exclusive “window” for Public Television distribution, the documentary will become available on popular streaming services such as Netflix, Amazon Prime, Hulu, and iTunes. 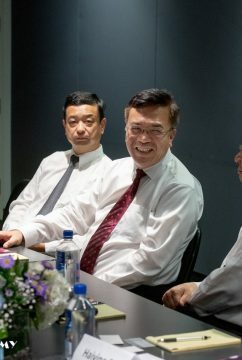 World War II started in 1937? 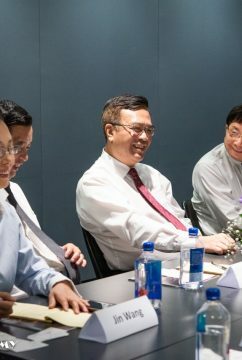 In China? 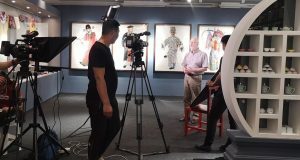 Those are the provocative questions behind the new Public Television documentary Shanghai 1937: Where World War II Began. 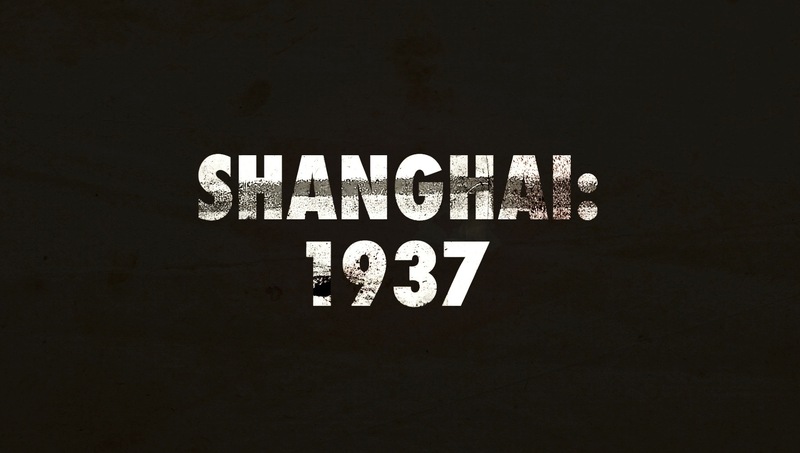 While largely forgotten outside of China, the Battle of Shanghai in 1937 marked the first time the military forces of Imperial Japan came up against effective, ongoing resistance. 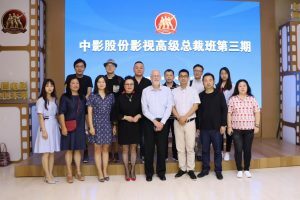 The first American civilians killed in what would become World War II, as well as the first American serviceman, died in Shanghai during August 1937. 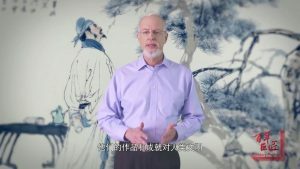 In Shanghai 1937: Where World War II Began, a group of internationally recognized historians and scholars describe how the events that took place in Shanghai pulled the world inevitably towards war, while at the same time instilling in the Chinese people a true sense of nationhood. 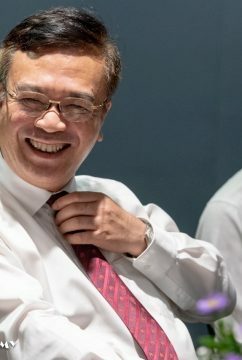 The results of that transformation continue to be felt today. 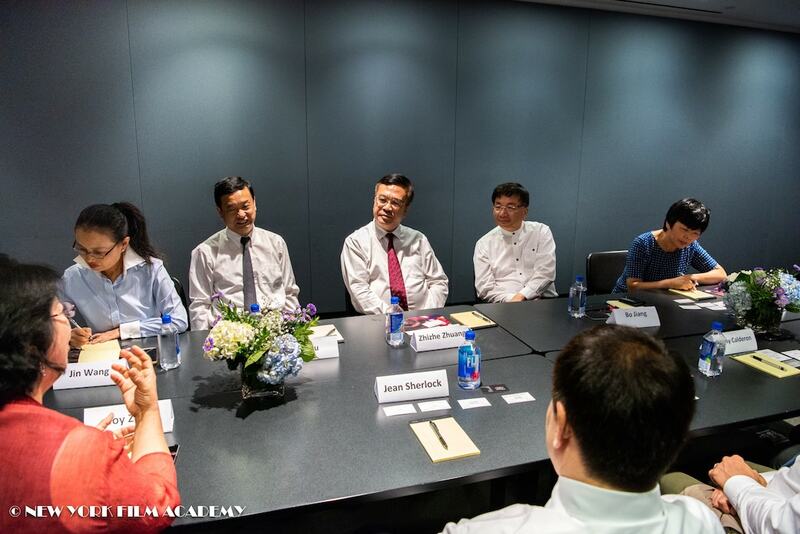 In fact, to understand contemporary Chinese attitudes and policies, you have to look to its past. Still, at its heart, this is the story of shattered lives and enduring dreams. That story is told in part by Liliane Willens, who at 92 years old is one of the few witnesses to these events still alive. She and her family were members of a community of stateless Russian Jews. 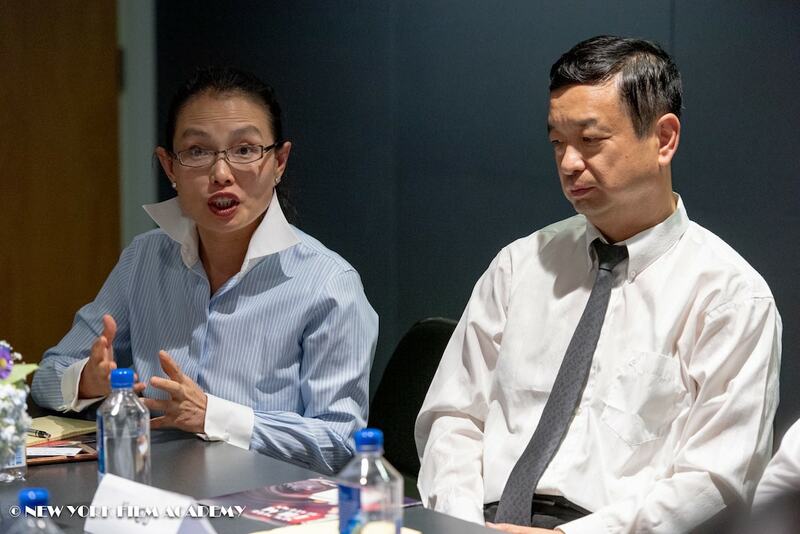 Deemed “citizens of nowhere,” they were welcome to live in Shanghai, but could never leave. 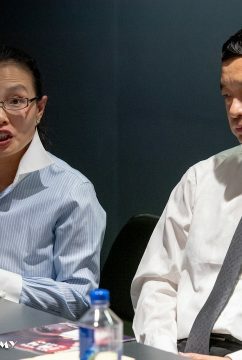 Shanghai’s large expat community controlled the city’s economy, living lives of privilege. 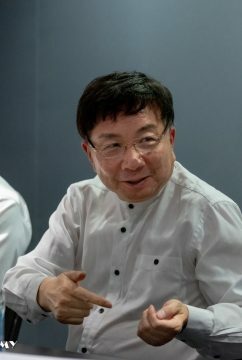 War destroyed their world, and set the stage for the China of today. Liliane would eventually be admitted to the United States in 1951, and went on to teach at prestigious American colleges and universities. 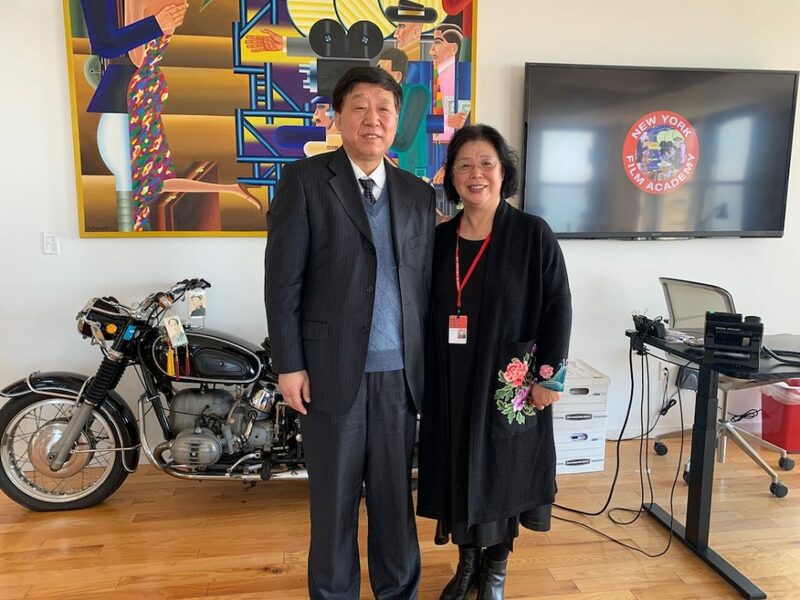 Today she is a lecturer and author, living in Washington, D.C.
Production of Shanghai 1937: Where World War II Began spanned three years and three continents. It incorporates little-seen footage located in film libraries around the world, as well as original interviews and scenic footage shot specifically for this documentary. 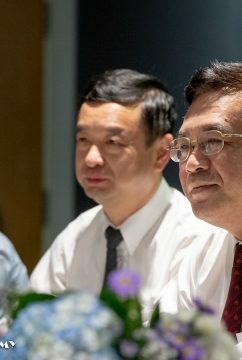 Contributors include two of the leading Chinese experts on this subject: Su Zhiliang, Ph.D. of Shanghai Normal University and Ma Zhendu, Director of the Second Historical Archives of China, as well as Hans van de Ven, Ph.D. of the University of Cambridge in England, American military historian Edward Drea, Ph.D., and Danish historian and author Peter Harmsen. 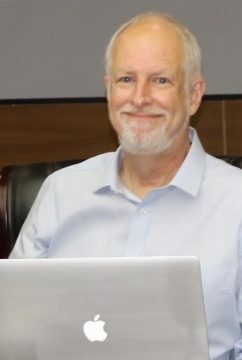 Teacher’s Notes written by Syd Golston, a past president of the National Council for the Social Studies, can be downloaded free of charge. 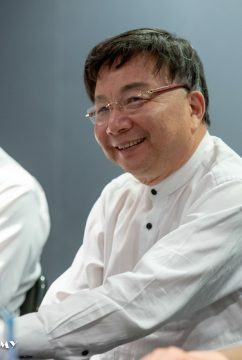 Included in these materials are poems written by Chinese American author Wing Tek Lum. 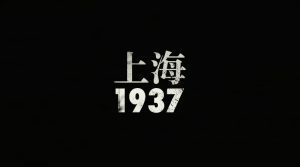 The Teacher’s Notes are at Shanghai1937.tv, where additional information about the program is also available along with a trailer. I am the Producer/Director of Shanghai 1937: Where World War II Began. Previously I developed and produced programming for PBS, CBS, ABC, HBO and Discovery. 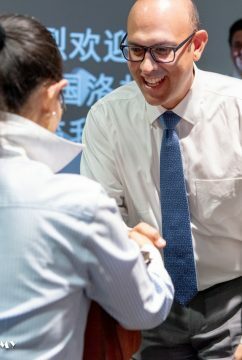 I’ve been telling stories about China for more than 25 years. 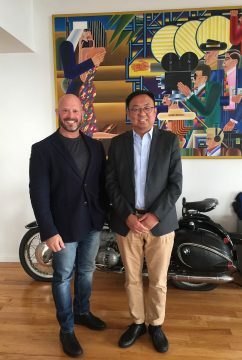 My four-part documentary series tied to the 2008 Summer Olympics, Beyond Beijing, was seen in 43 countries by 250+ million viewers. 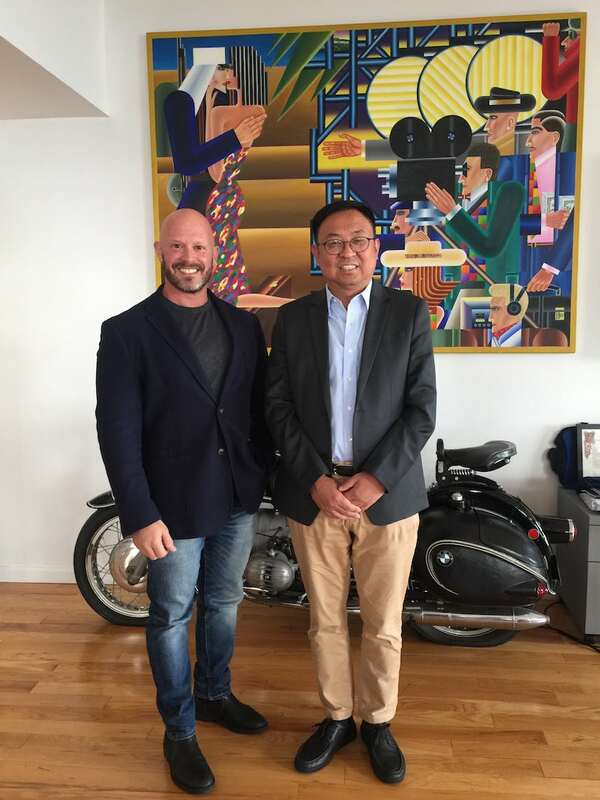 I became Chair of the Broadcast Journalism school at the New York Film Academy in 2013. 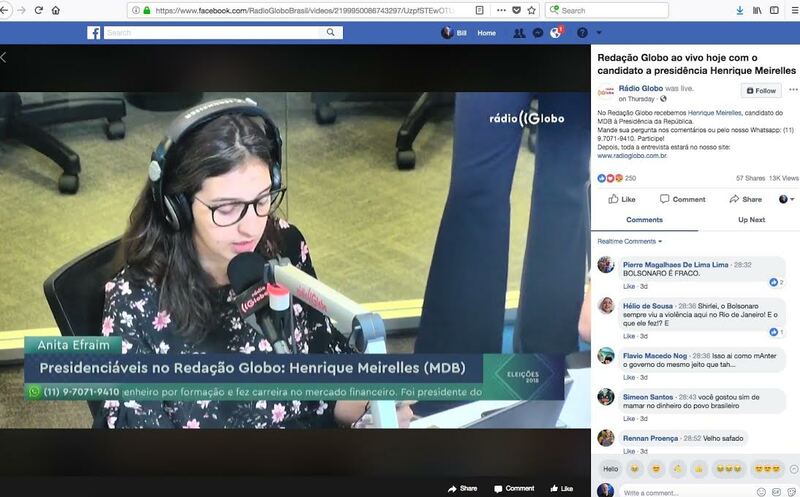 Co-Producer/Editor Evgenia Vlasova was the anchor and co-producer of an award-winning morning show in her native Russia. 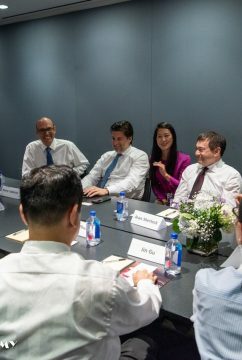 Born in the Russian Far East, she is no stranger to China. 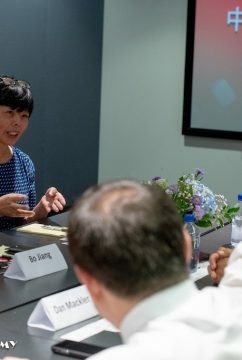 She too is a faculty member in the Broadcast Journalism department at the New York Film Academy. 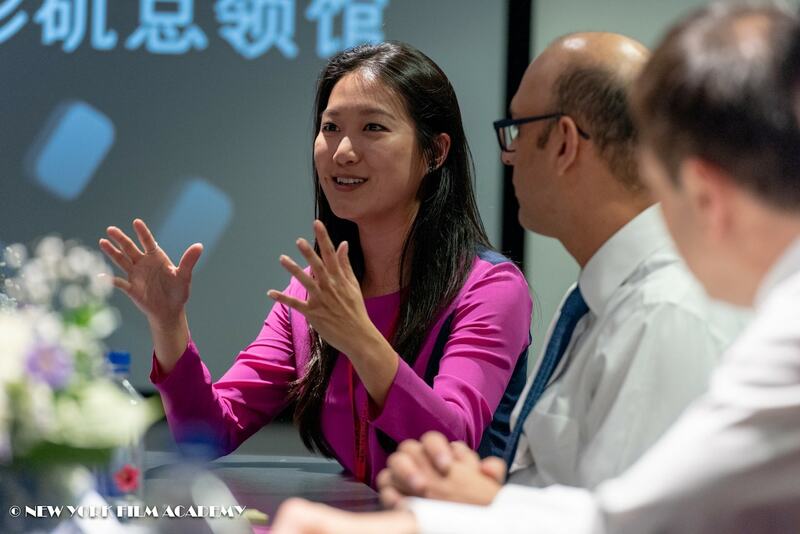 Digital Producer Theresa Loong traces her family heritage back to southern China. 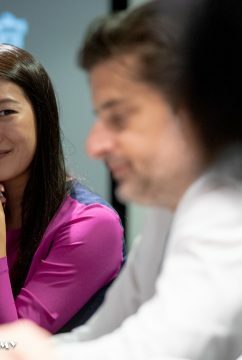 She is a multimedia producer and director based in New York. 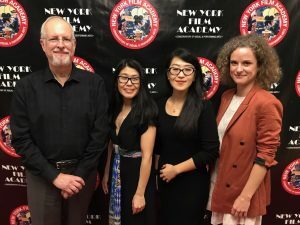 Last Thursday we had a preview screening at NYFA, with our own version of a red carpet. 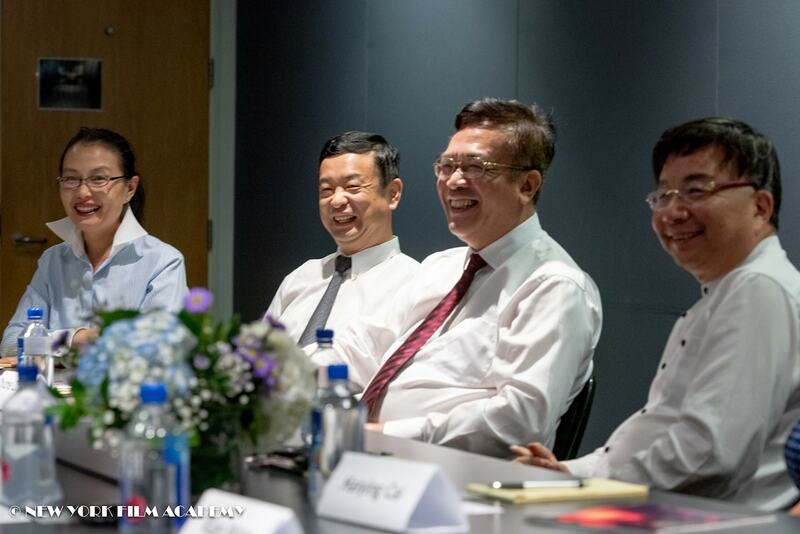 Only at this event, it was the production personnel who took center stage. 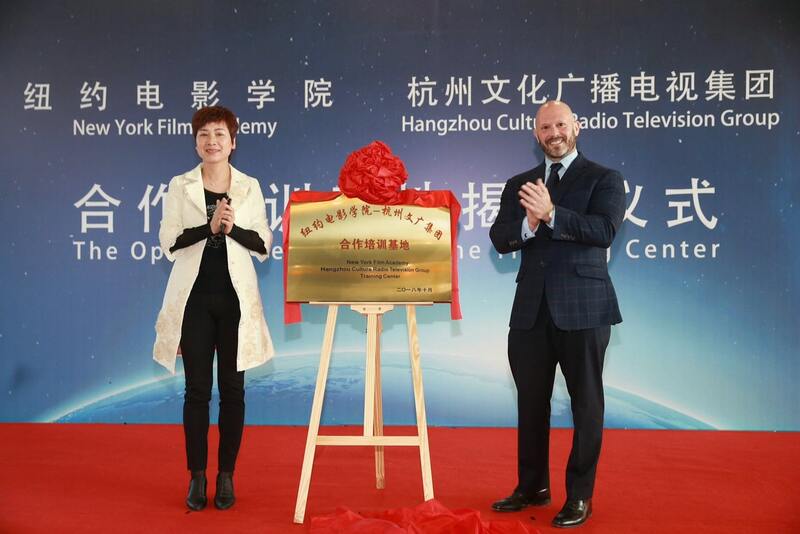 On October 27, 2018, the New York Film Academy – Hangzhou Culture Radio Television Group Cooperative Training Base was formally established. 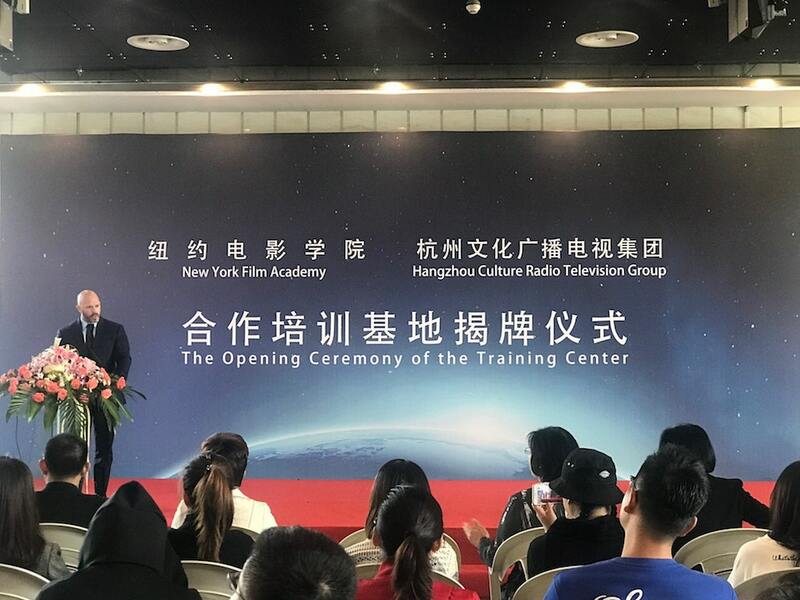 David Klein, Senior Executive Vice President of the New York Film Academy (NYFA), and the Deputy Secretary of the Party Committee and Editor-in-Chief Zheng Guilan jointly inaugurated the Cooperation Training Base. 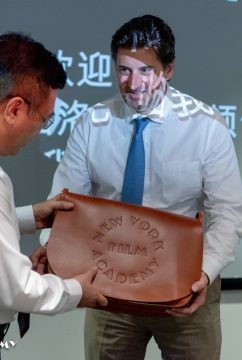 Mr. Klein travelled from NYFA’s New York City location for the event. 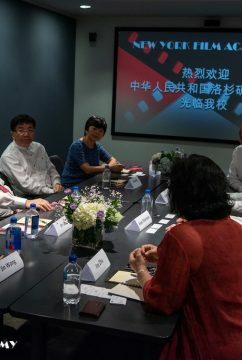 On June 16, the Group’s Film Project Team and New York Film Academy signed the “Memorandum of Strategic Cooperation”; on October 15, the Secretary of the Party Committee and President of the Group, Yu Xinping, met with the CEO of New York Film Academy, Jean Sherlock, and New York Film Academy Executive Vice President Zhu (Joy) Yuhua. 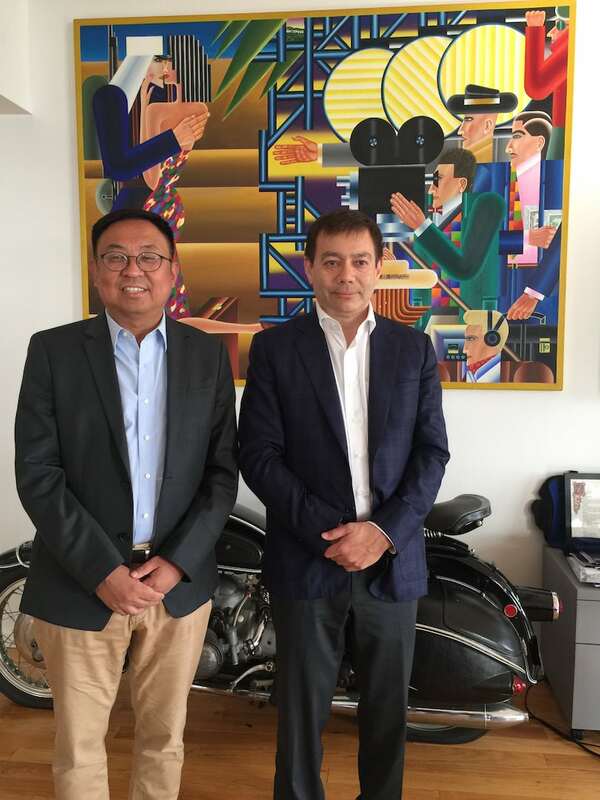 Together, the group discussed the joint establishment of a film and television training cooperation project as soon as possible, as well as a long-term training cooperation system. 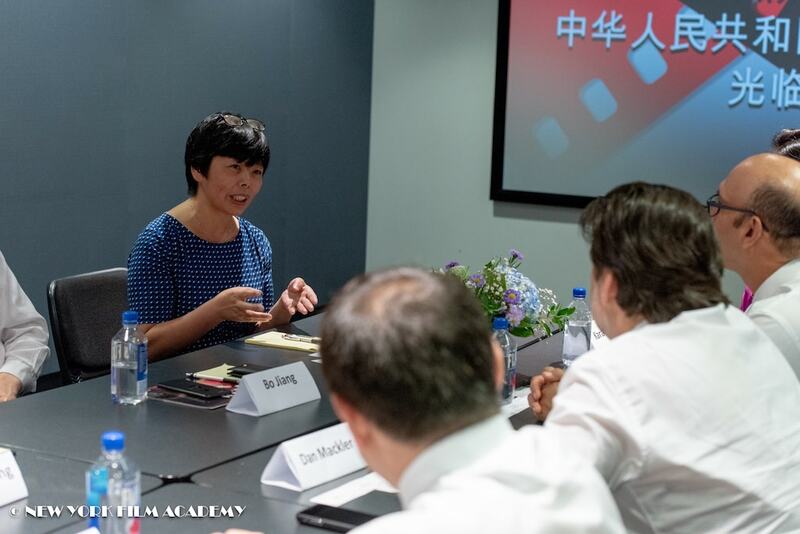 The establishment of the cooperative training base will enhance the brand influence of Hangzhou Cultural Film Industry with an international vision and form a broader communication and practice platform for Chinese and American film and television talents. 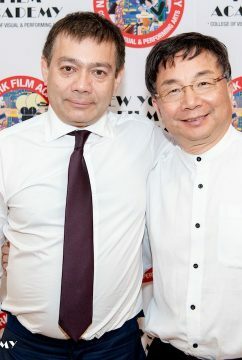 This is in line with the growing influence and interdependence of Chinese cinema and culture on a worldwide audience. 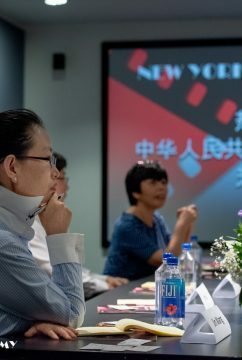 As Chinese co-productions with international and major movie studios increase in number and scope, the New York Film Academy has also looked to strengthen relations with the film and cultural institutions of China. 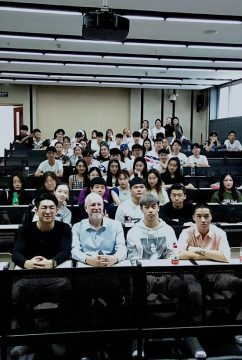 In addition to educating many aspiring filmmakers, actors, and visual artists from China as part of its international student body, NYFA has also held workshops in China as well, including in Shanghai and, as recently as this summer, in Beijing. 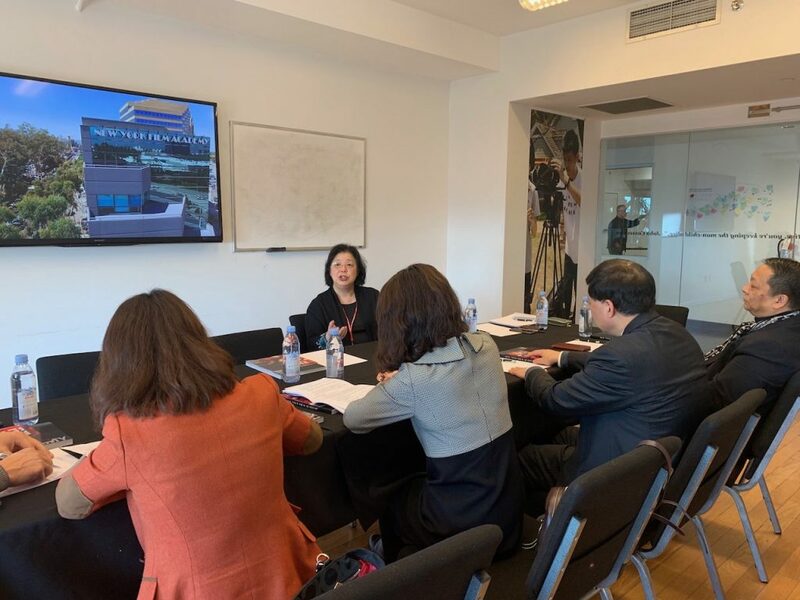 Furthermore, the Academy has also hosted workshops for visiting Chinese students at its locations in Los Angeles and New York City. 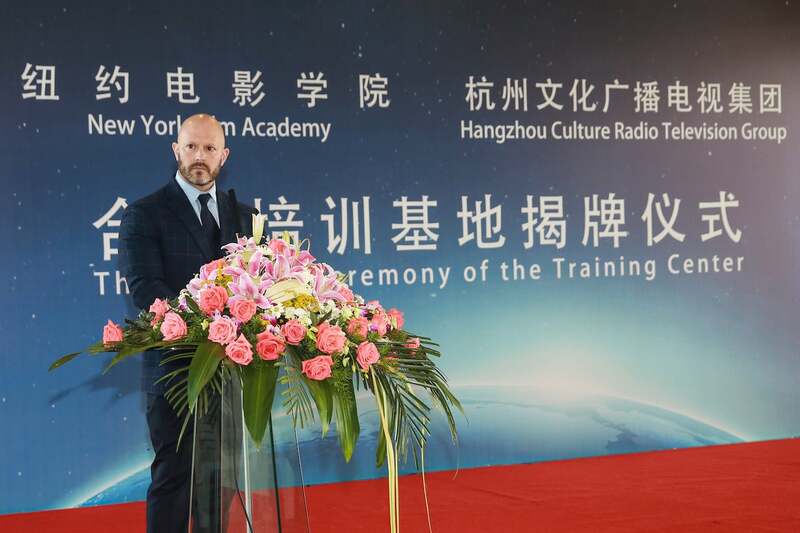 The New York Film Academy looks forward to continued cooperation with the Hangzhou Cultural Film Industry and to the success of the New York Film Academy – Hangzhou Culture Radio Television Group Cooperative Training Base! 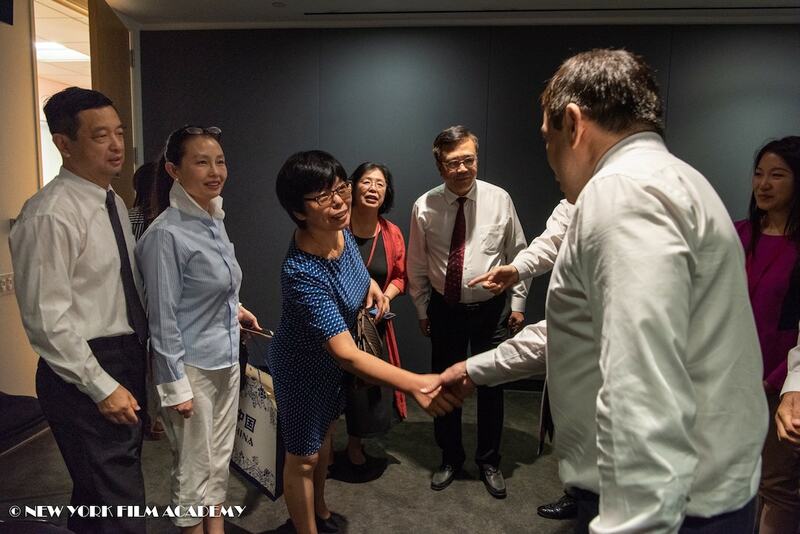 Earlier this September, representatives from the Shanghai Theatre Academy visited New York Film Academy’s Battery Park campus in New York City. 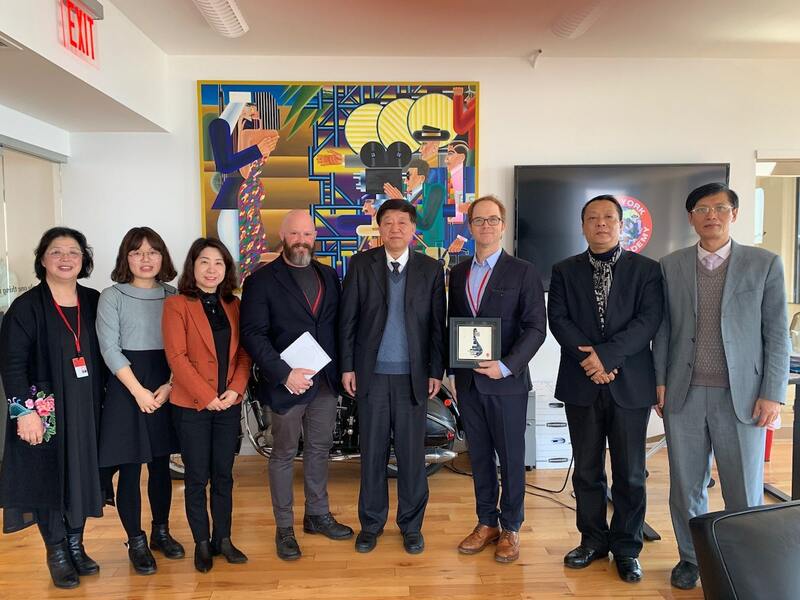 These representatives included Mr. Lou, General Secretary of Shanghai Theatre Academy, and Mr. Wei, Vice Dean of Film School of the Shanghai Theatre Academy, as well as scholars who are currently in New York. 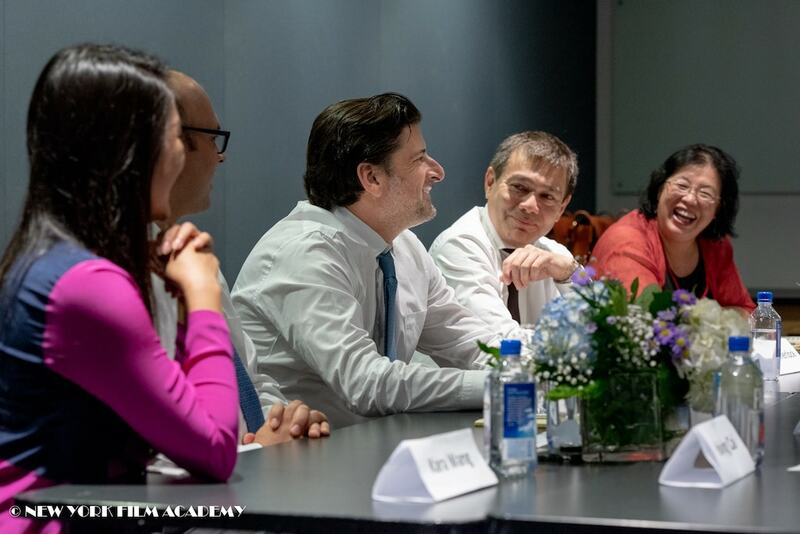 The Shanghai Theatre Academy representatives sat down with senior administration and faculty from New York Film Academy (NYFA) to discuss cultural and education affairs between the US and China, as well as potential future partnerships. 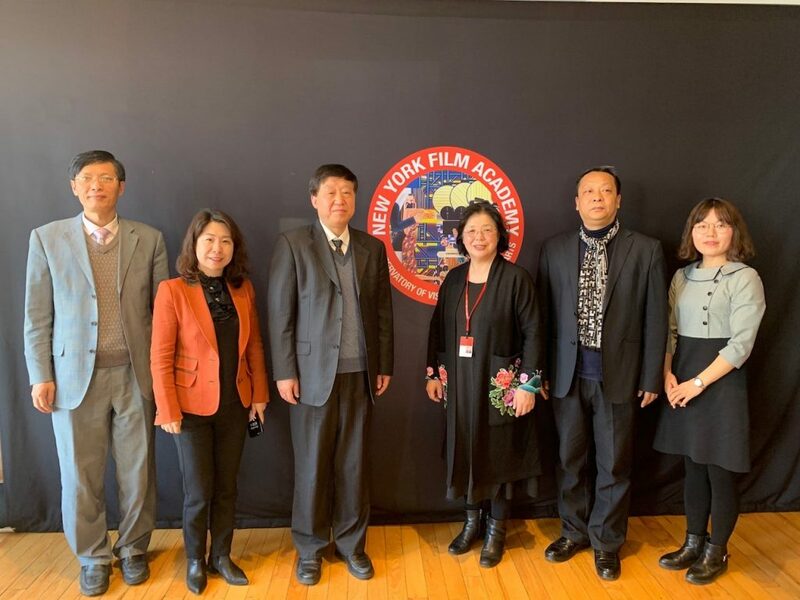 These senior administration and faculty members from the New York Film Academy included Mr. Jean Sherlock, CEO and owner of the Academy; Mr. Michael Young, President; Mr. David Klein, Senior Executive Vice President; and Dr. Joy Zhu, Executive Vice President (China Region). 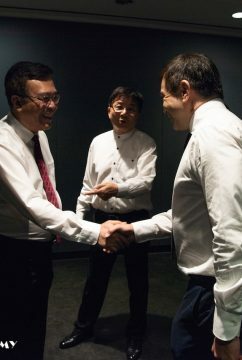 Both parties have met several times in the past and have already established a strong partnership. 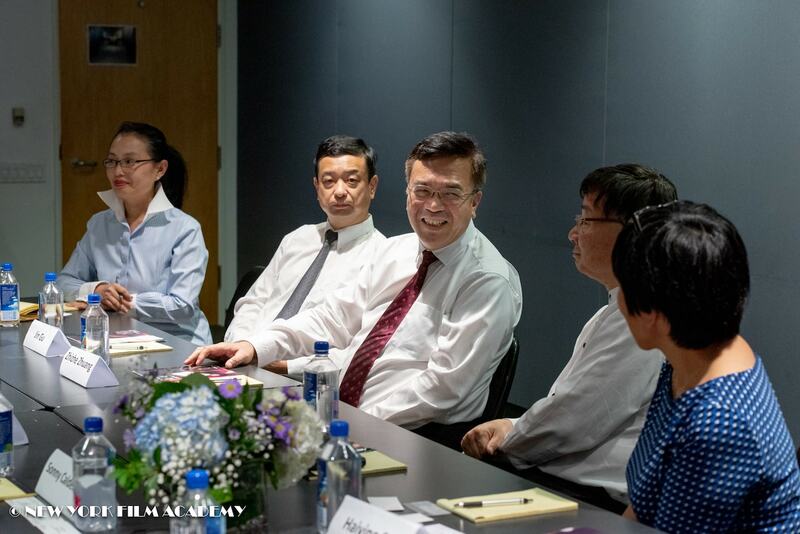 The discussions that took place during this month’s meeting were focused mainly on the forefront issues and future plans for furthering educational partnerships between the US and China. 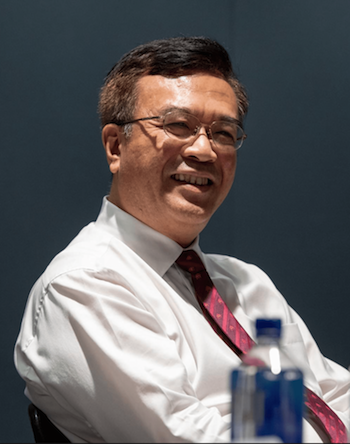 Mr. Lou took this opportunity to share his experiences and thoughts on how the Internet has completely reshaped the way entertainment and film are now studied. 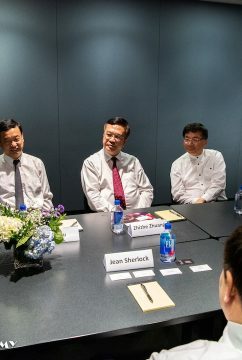 His perspectives were incredibly deep and well articulated, with Mr. Sherlock and Mr. Young both agreeing with many of his views and thoughts. 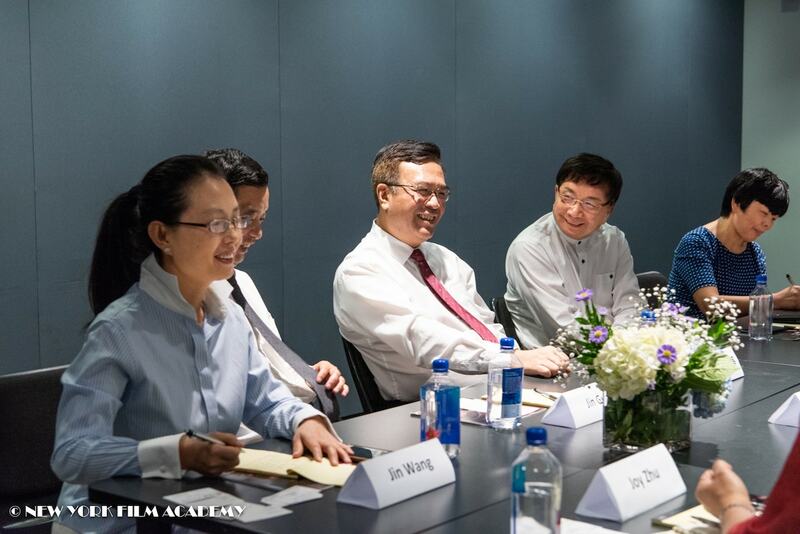 Discussions also continued on how to maintain and strengthen the cultural and education relations between the East and West as well as future opportunities for the two institutions to specifically work together. 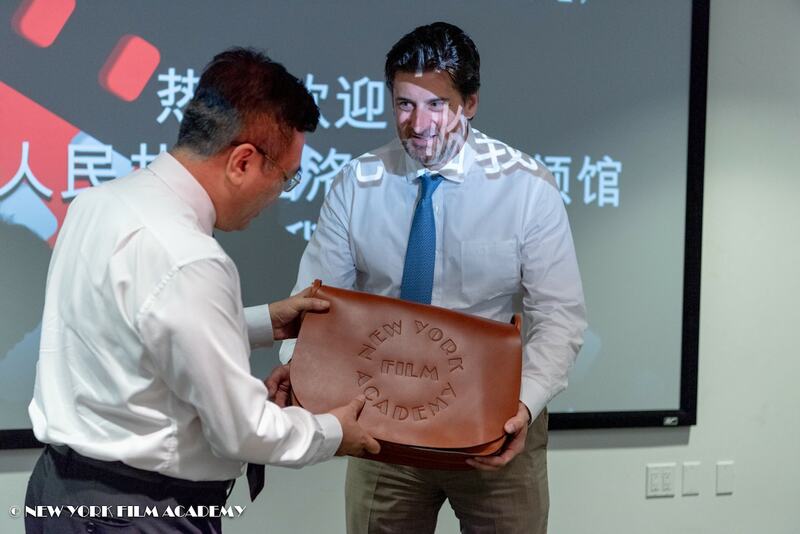 NYFA has prided itself on its focus for a cultural exchange of ideas between the school’s global campuses and the students and educators of China. Late last year, President Michael Young toured China to strengthen the Academy’s cooperation with the country’s aspiring filmmakers, actors, and storytellers. 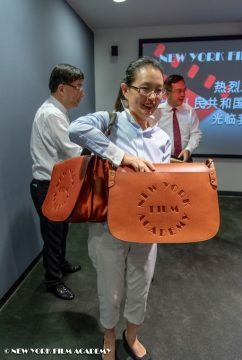 And earlier this summer, a class of students from Shanghai Theatre Academy took a 1-week Photography course at NYFA, where they trained on state-of-the-art equipment with the school’s renowned professional faculty. 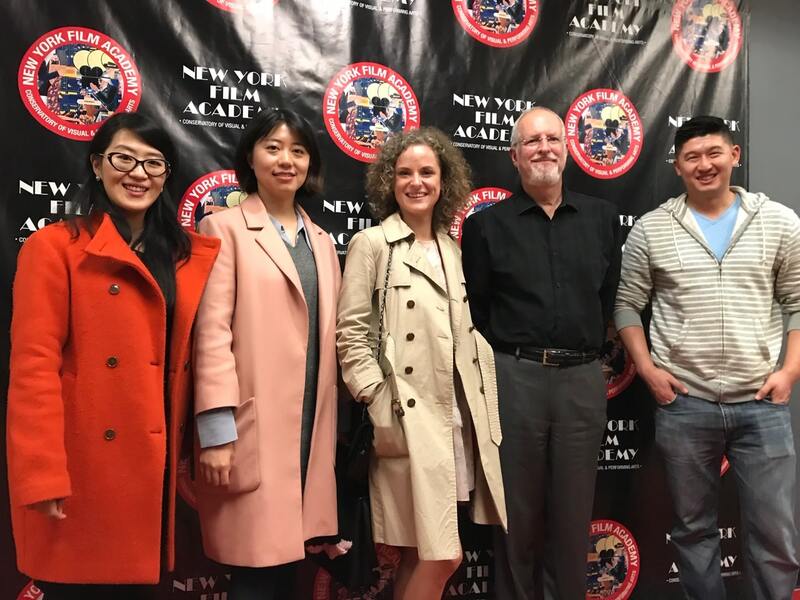 The New York Film Academy thanks the representatives from the Shanghai Theatre Academy for their visit and for a meaningful and intelligent discussion over several subjects! 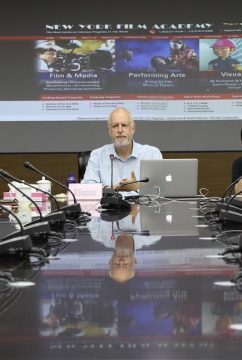 Later I ran a workshop at the China Film Group. 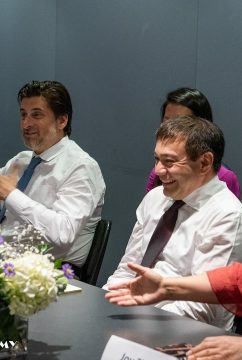 This audience was very different. 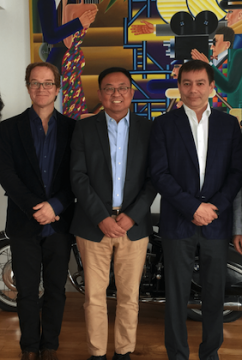 It was made up of media professionals who wanted to improve and expand their skill set. 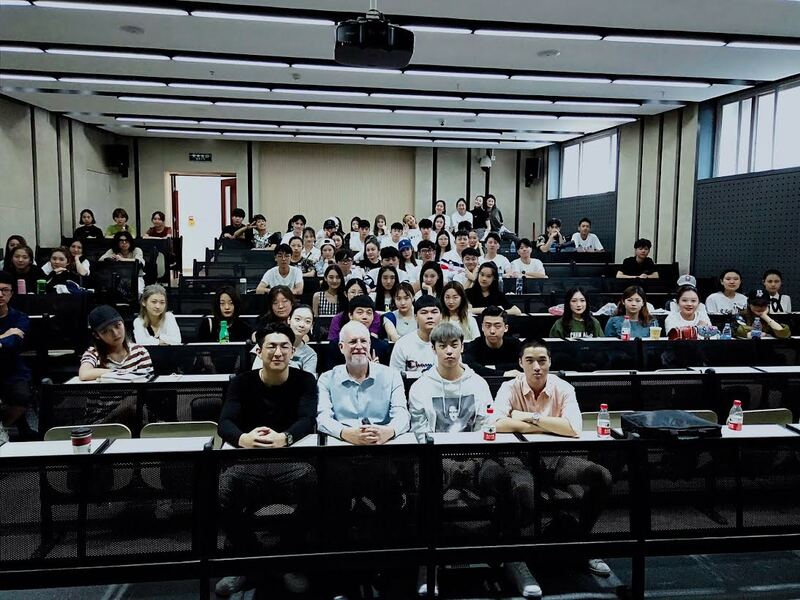 Surprisingly, a number of them are interested in non-fiction film and video production. 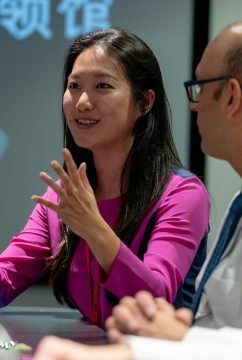 In addition to my standard PPT presentation, we had an extended Q&A session. Frankly, I think it was the high point of the afternoon. 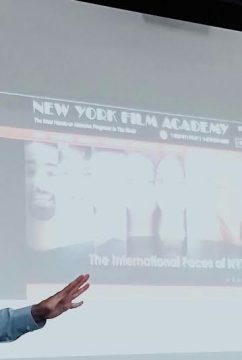 The participants had a chance to ask some very specific questions, about both video production as well as NYFA. It is no secret that viewership of legacy media — like network TV — is down, while audiences for digital services — like Mic — are skyrocketing. 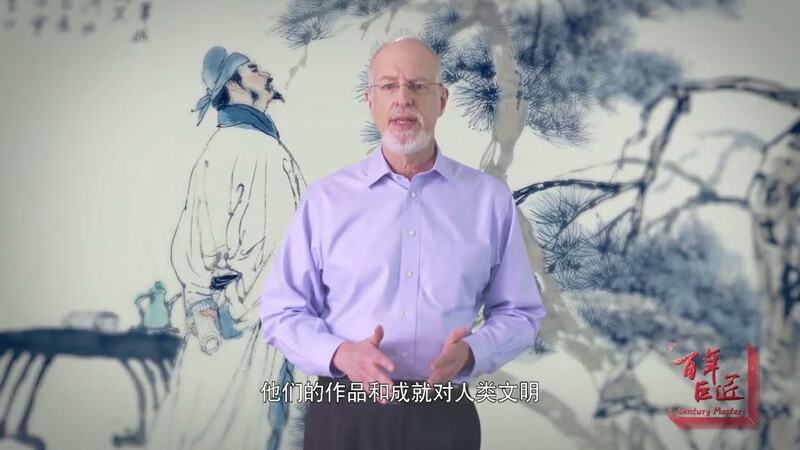 The problem is that digital program producers are still searching for a way to actually make money. 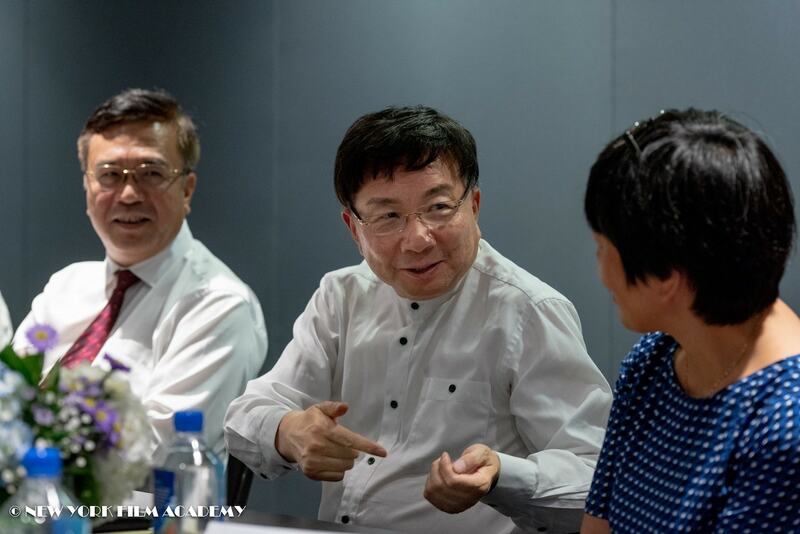 At the end of the day, a business has to be just that — a business. 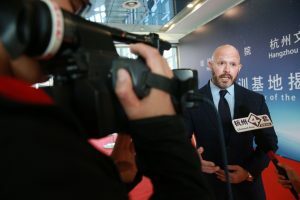 According to Digiday, Mic attracted a huge number of viewers with fast, short-form non-fiction videos. 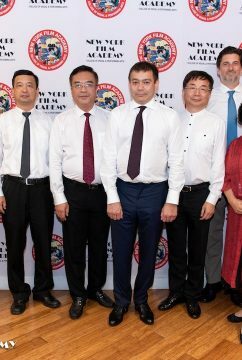 But they didn’t attract enough sponsorship dollars. 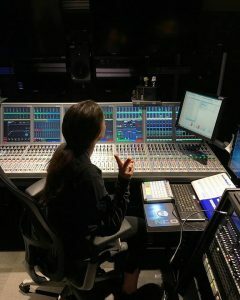 So Mic is shifting to “long-form” (around 15 minutes) programs that incorporate both studio and field elements. (Their premiere series is called Mic Dispatch.) Sound familiar? It’s a case of “everything old is new again,” as I produced program segments like this for 20 years. Of course, the content here is a lot edgier. Now digital outlets are looking to license content produced by others (why not you?) 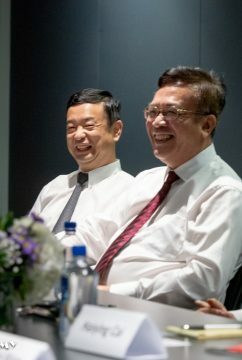 and many of the deals they are making are for a full year. Mic publisher Cory Haik says a greater percentage of people are choosing to watch Mic Dispatch beyond the three-second view mark than for the type of short-form news-feed videos his platform used to crank out. 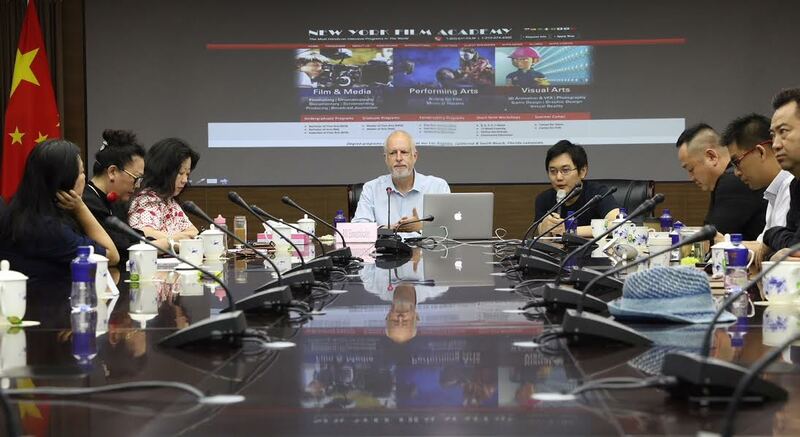 While I am in Beijing, I will be making two presentations for NYFA. 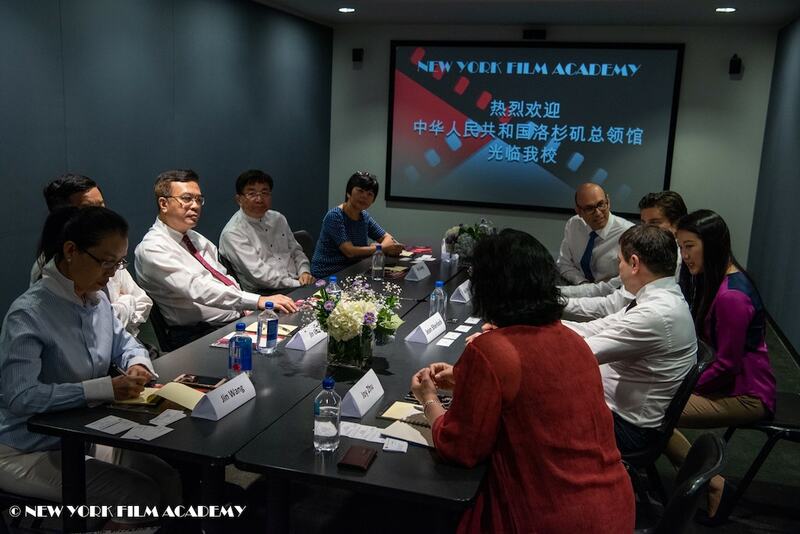 The first will be at the Beijing Film Academy, where NYFA has its China office. 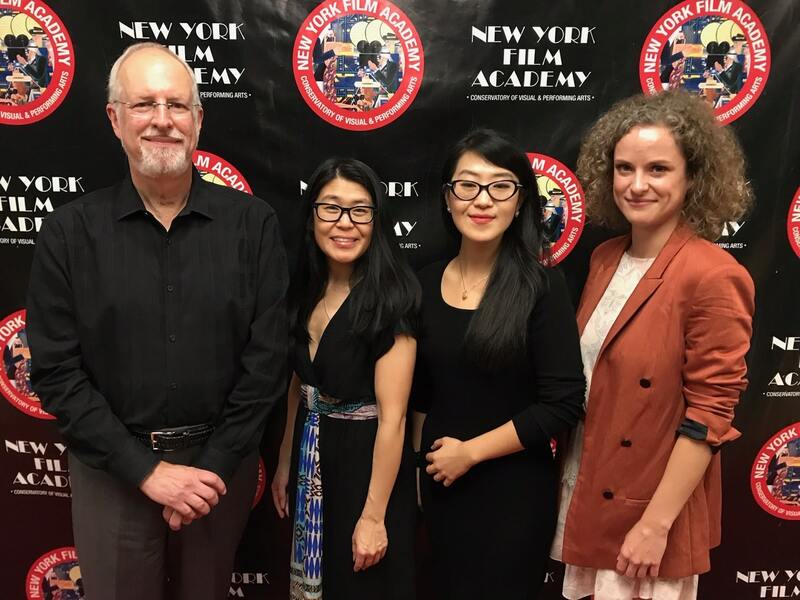 (NYFA is the only international school invited to locate on the BFA campus.) 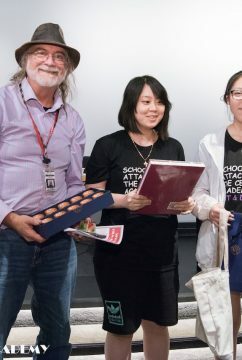 I will be speaking to potential students about NYFA, and its various programs. Including, of course, Broadcast Journalism. 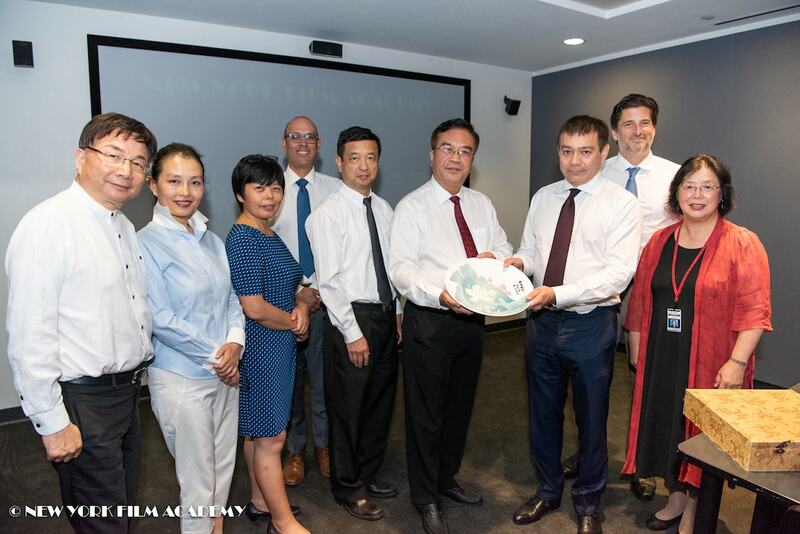 Representatives from the Consulate General of the People’s Republic of China in Los Angeles visited New York Film Academy’s Los Angeles campus on Thursday, August 22nd, 2018. 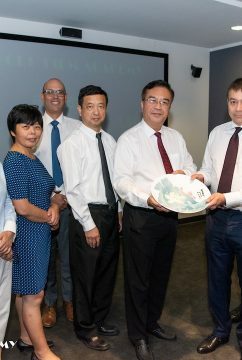 The representatives included Mr. Zhizhe Zhuang, Vice President of Chinese Consulate General; Mr. Jin Gu, Cultural Consul of Chinese Consulate General; Mrs. Jin Wang, Cultural Consul of Chinese Consulate General; and Mrs. Haiying Cai, Education Consul of Chinese Consulate General. 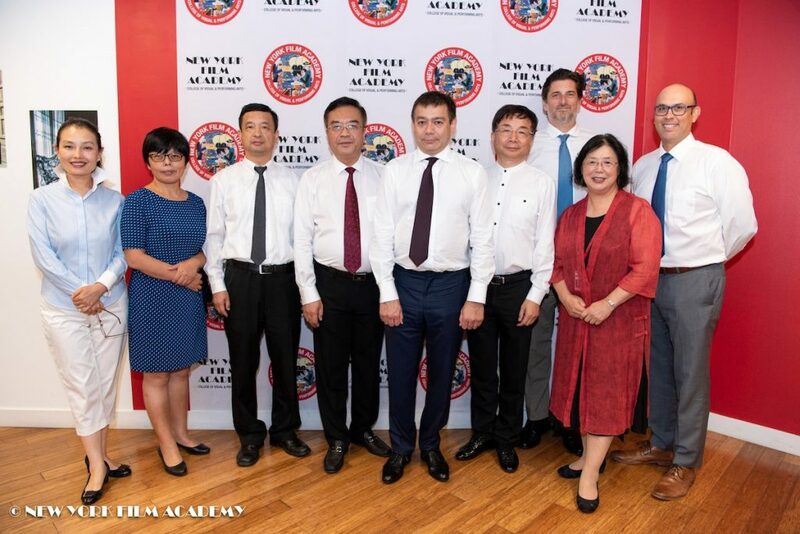 These representatives sat down with administration faculty from the New York Film Academy (NYFA) to discuss cultural and education affairs between the US and China, as well as potential future partnerships between NYFA and the Chinese Consulate. 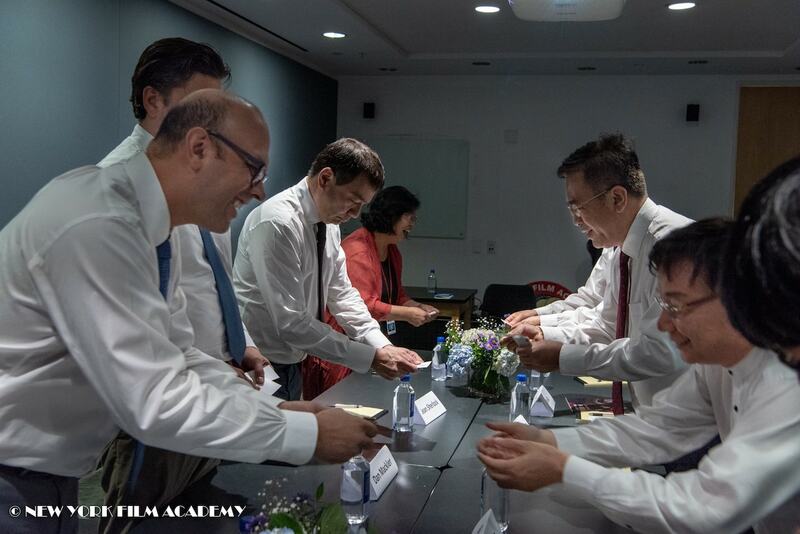 Faculty and members from the senior administration from the New York Film Academy included Mr. Jean Sherlock, CEO and owner; Mr. Dan Mackler, Director of the Los Angeles campus; Mr. Sonny Calderon, Dean of the College (Los Angeles); and Joy Zhu, Executive Vice President for the Asia Region. 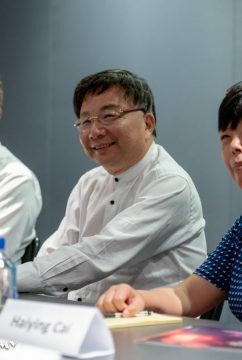 Mr. Bo Jiang, a longtime friend of NYFA and President of the Shanghai Film and Art School, was also in attendance at the meeting. 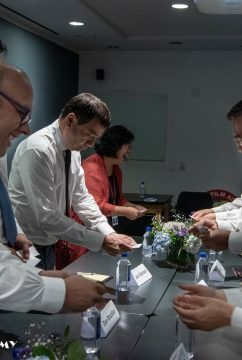 Both parties introduced their respective schools and organizations, and shared common goals for cultural and education exchange. 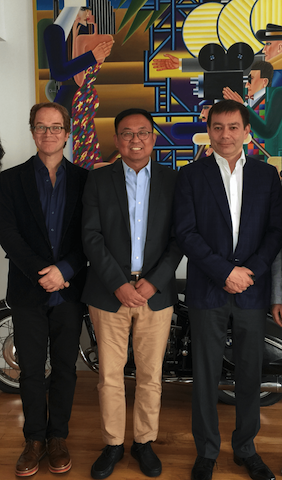 The common theme through the meeting was that art has no boundaries. 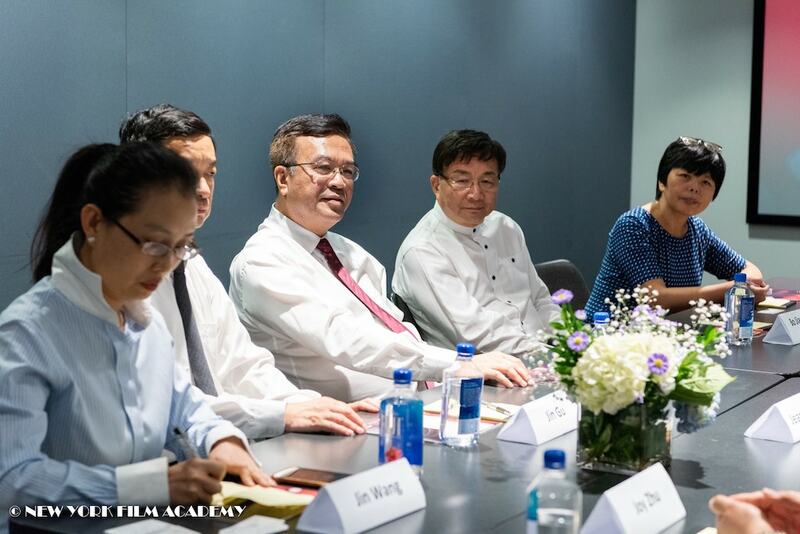 The meeting was widely successful, as both parties discovered that there are many commonalities between the two. 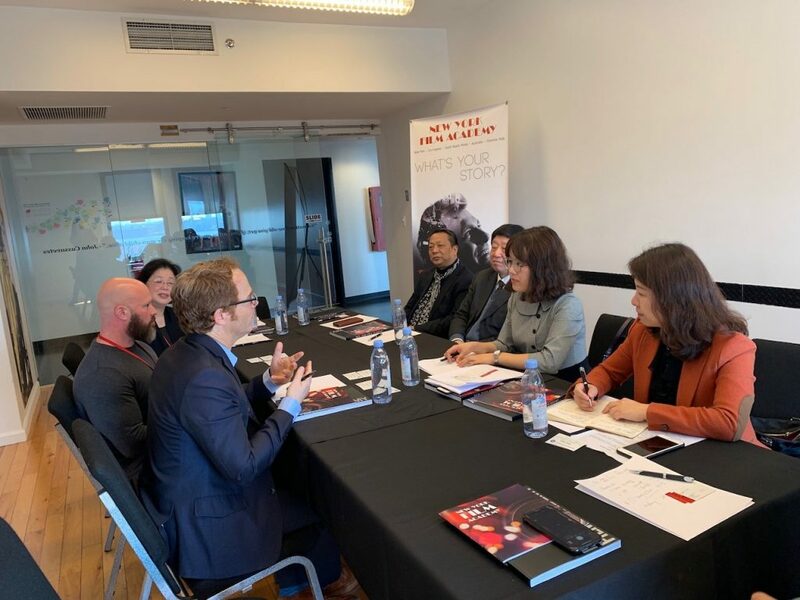 Mrs. Haiying Cai, Education Consul, had many great questions regarding Chinese students, and the representatives from the Consulate were both impressed and excited by the work that NYFA is doing and has achieved with our Chinese student population. 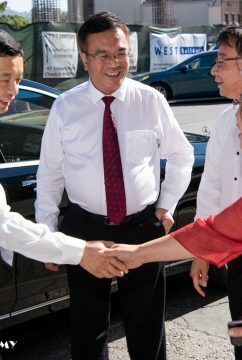 Furthermore, they graciously offered their assistance in any matters that they may provide support on. 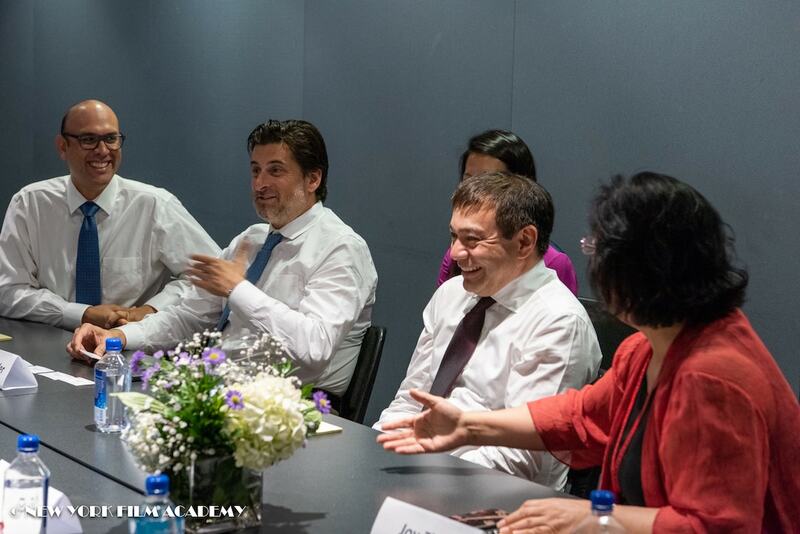 Talks of future cultural events were also a highlight, and both parties look forward to these future opportunities to work together. 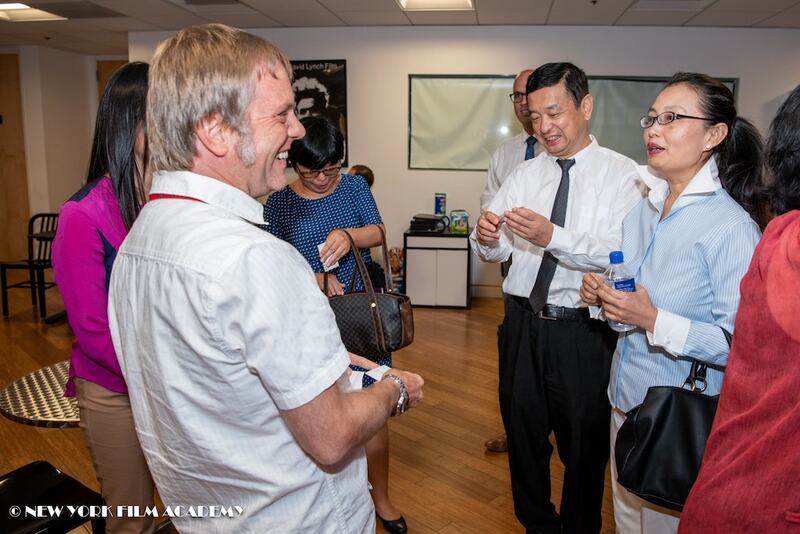 After the meeting, the Consulate representatives were taken on a tour of the campus. 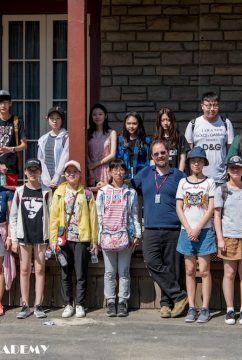 They had the opportunity to explore the main building on Riverside Drive, as well as the classrooms and studios in Burbank Studios. 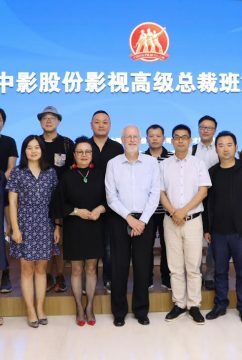 After the tour, the two parties congregated for dinner, which proved to be both enjoyable and enlightening. 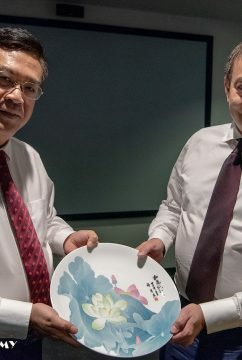 During dinner, both parties further explored the cultural and education relations between the East and West as well as future opportunities to work together. 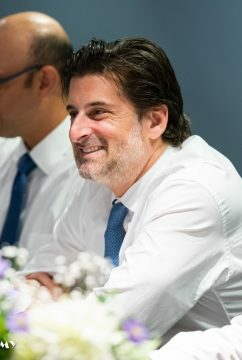 The atmosphere was relaxed and pleasant, and the evening was a great success for all involved! 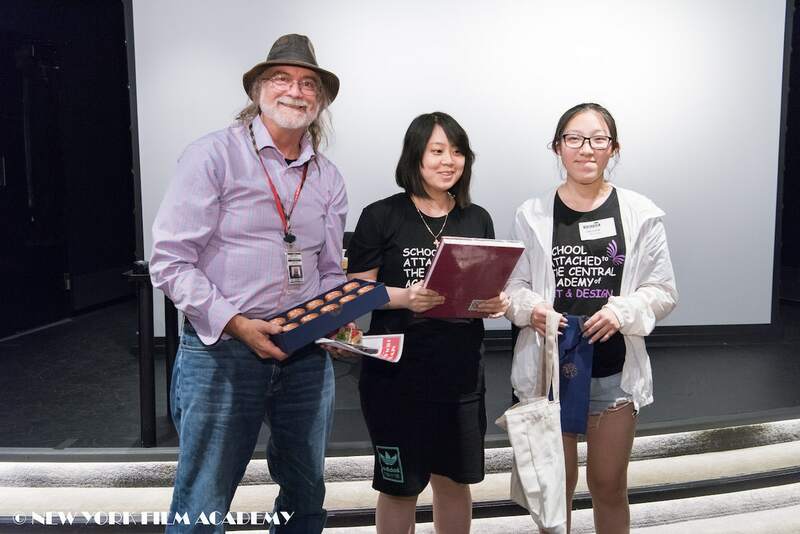 Earlier this August, students from the Shanghai Theatre Academy attended a 1-week Photography workshop at New York Film Academy’s New York City campus. 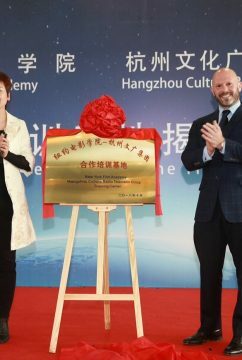 The Shanghai Theatre Academy is a public university in China dedicated to dramatic art education and was founded in 1945. 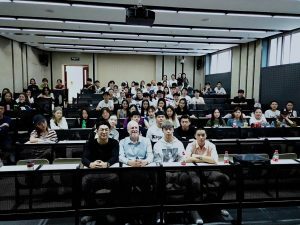 Its predecessor was Shanghai Municipal Experimental Theatre School, cofounded by the famous educator Gu Yuxiu. 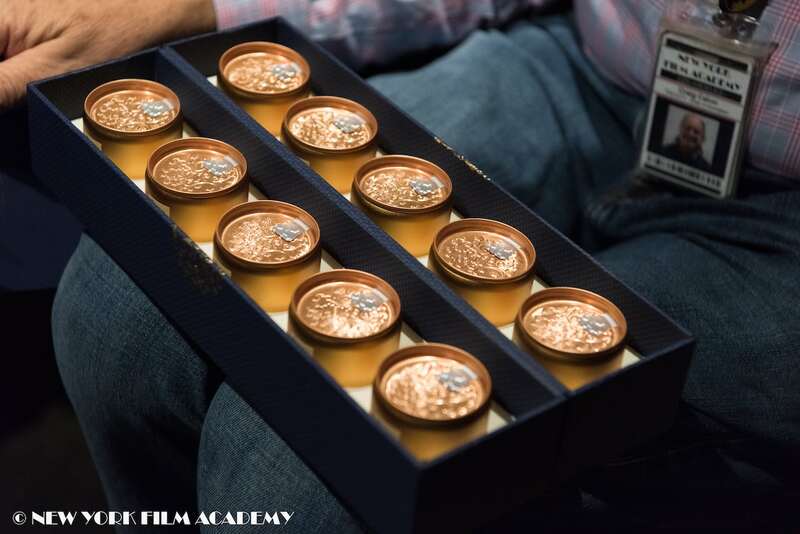 The New York Film Academy (NYFA) photography school provides a unique experience not found elsewhere; with a passionate focus on the practical elements of photography, NYFA empowers students to master not only the essential basics taught by other good photography schools, but also the technical and business practices that will set them apart in their professional photography career. 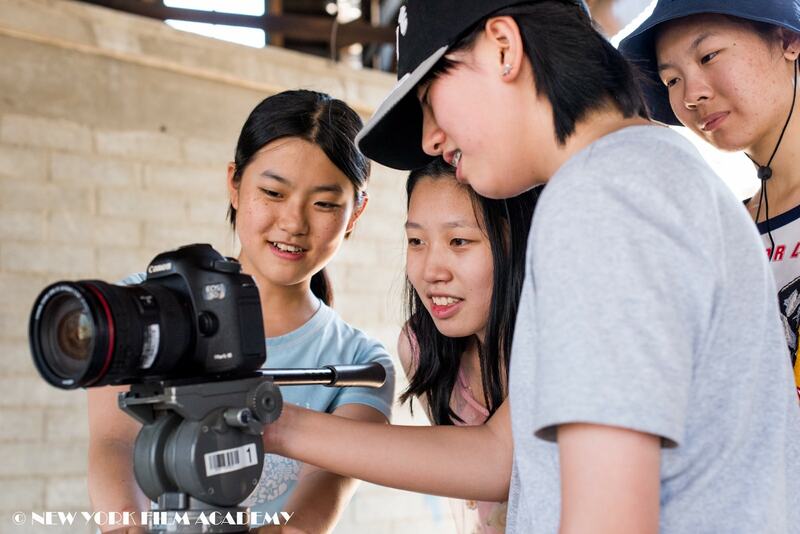 NYFA’s photography school offers several programs and courses, including youth camps in the summer. 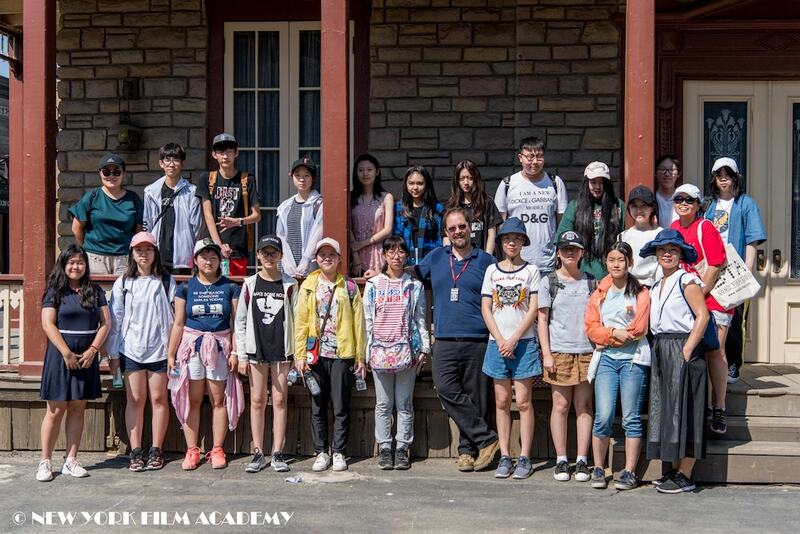 The young students from Shanghai Theatre Academy visited for one week, and were able to practice hands-on with state-of-the-art-equipment. 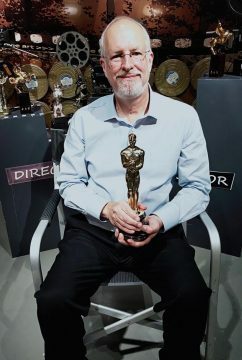 “Thank you, New York Film Academy! 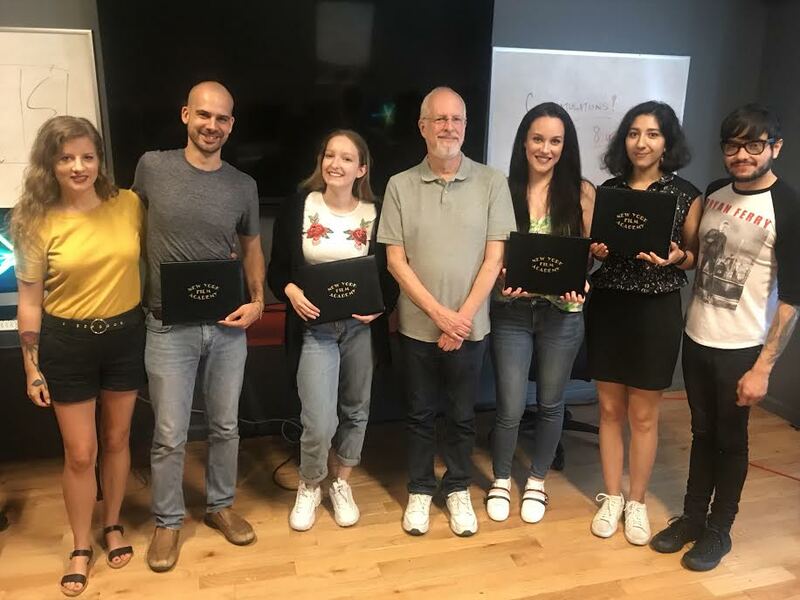 This summer, we were fortunate to have the opportunity to participate in the camp organized by the New York Film Academy. 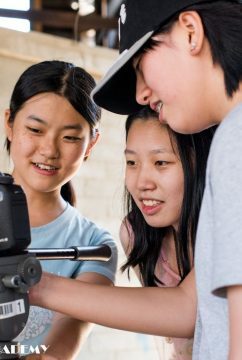 The staff members from the Academy provided us with everything we needed to learn about filmmaking: knowledgeable teaching staff, filmmaking equipment, lively teaching environments, new filmmaking concepts, on-site practice, and much more! 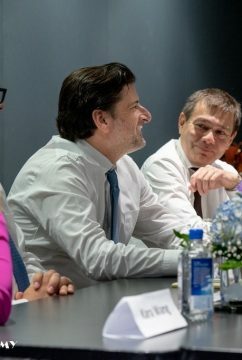 We have learned so much in so short a time. 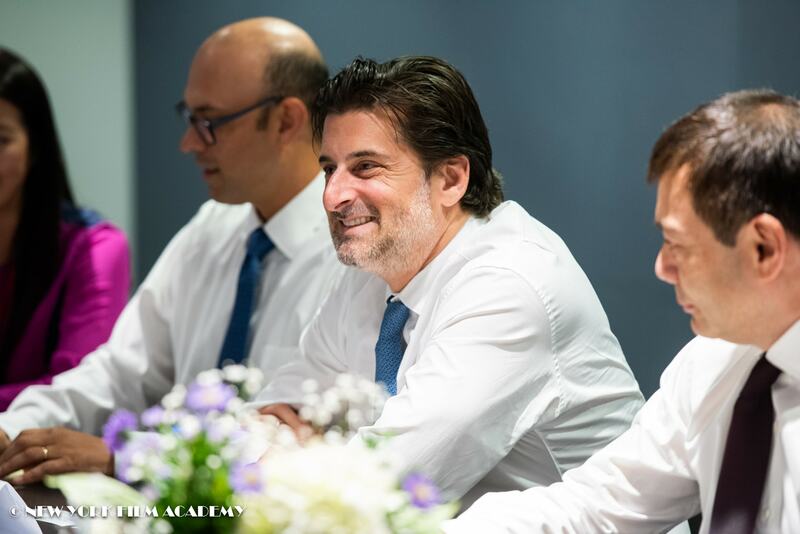 The skills we have learned and the practice we have observed will help us significantly in many ways moving forward! 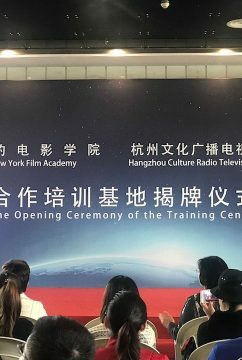 The New York Film Academy congratulates the students from Shanghai Theatre Academy and congratulates them on a job well done! 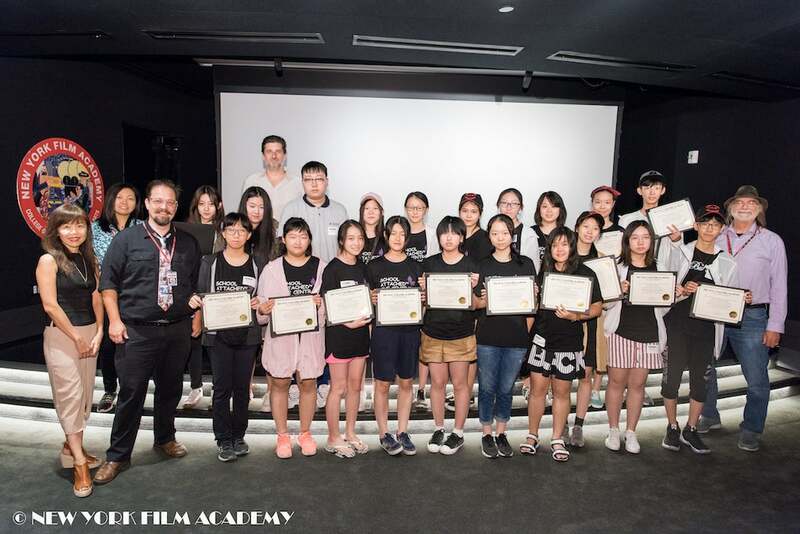 Twenty students from the Chinese GMFZ High School joined a 1-Week Animation Workshop from July 30th to August 3rd at New York Film Academy’s Los Angeles campus. 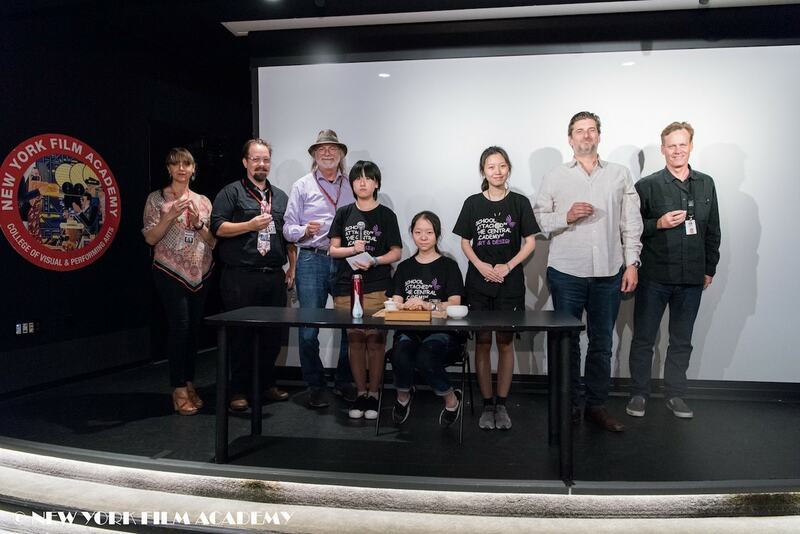 At the end of the course, the students prepared a special Tea Performance to show their appreciation to the New York Film Academy (NYFA). 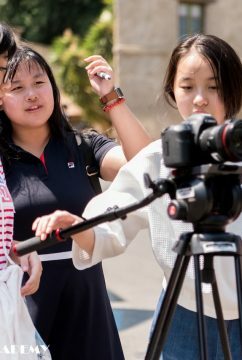 During the week-long animation workshop, the students learned about Paper Puppets, Stop Motion Animation, Visual Story, VFX, and Editing. 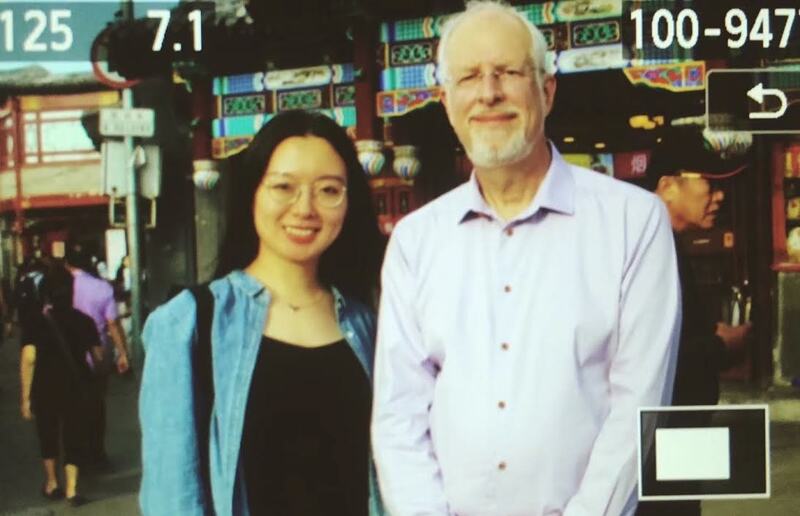 In addition, they had the opportunity to film on the Universal Studios Backlot, Hollywood’s world-famous lot where movies such as American Beauty, Back to the Future, and Steven Spielberg’s War of the Worlds have been filmed. 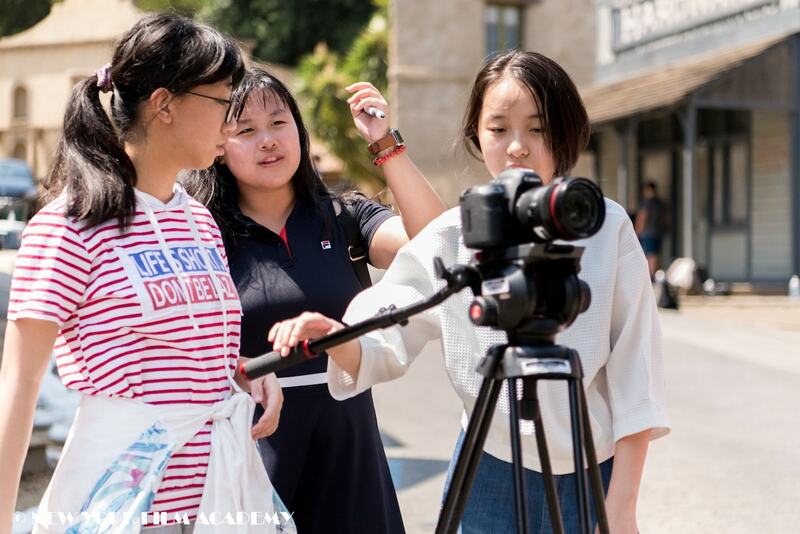 NYFA has a special relationship with Universal Studios, where students have the unique opportunity to spectate the importance of “studio life” to the Los Angeles area up close and first-hand, while also getting the one-of-a-kind experience of shooting on the lot themselves. 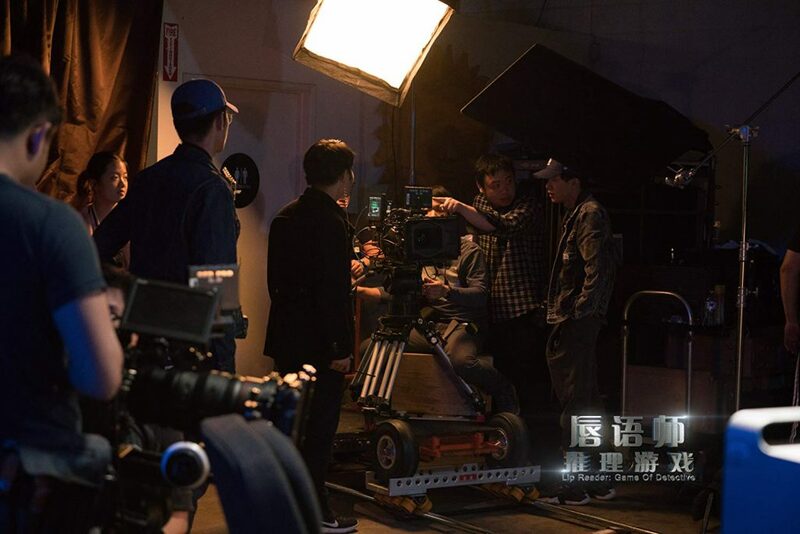 The location shooting went very well as students were taught hands-on skills in storytelling. 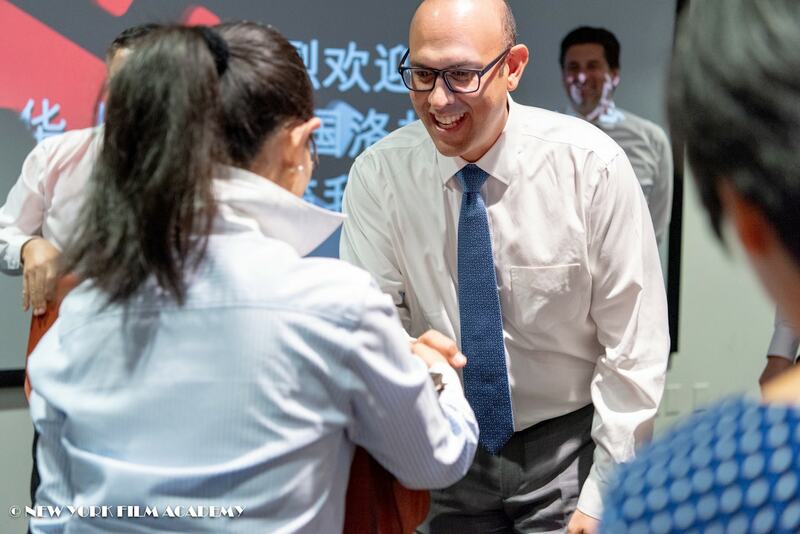 The GMFZ students showed satisfaction with this learning experience upon getting their certificate at the end of the week. 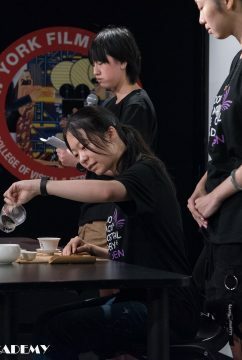 The program was concluded with the Chinese GMFZ School performing a unique tea performance, a cultural exchange that was greatly appreciated by NYFA staff and faculty. 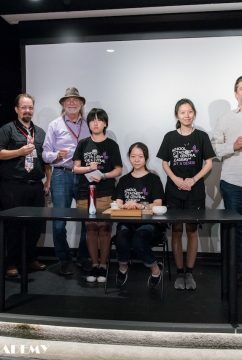 The performance demonstrated the traditional Chinese art of tea tasting as a show of gratitude to NYFA for arranging their Animation Workshop. 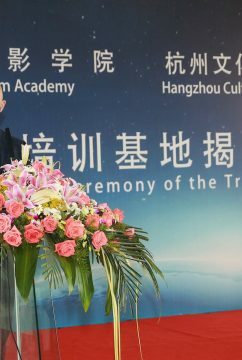 During the ceremony, students explained the history and procedures involved in the art of tea-making with a recital and performance. 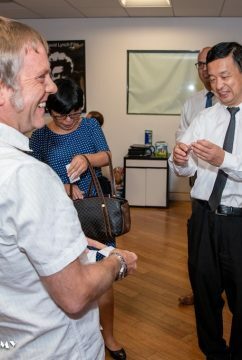 A sample of 10 kinds of teas from various provinces in China were brought to the Chair of Animation, Craig Caton-Largent, who happened to be an ardent fan of Chinese tea. 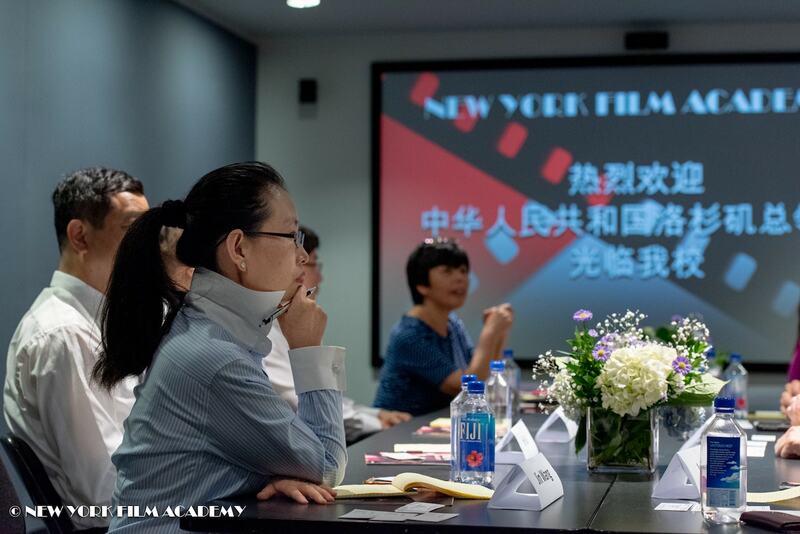 The New York Film Academy proudly holds a special relationship with Chinese filmmaking students. 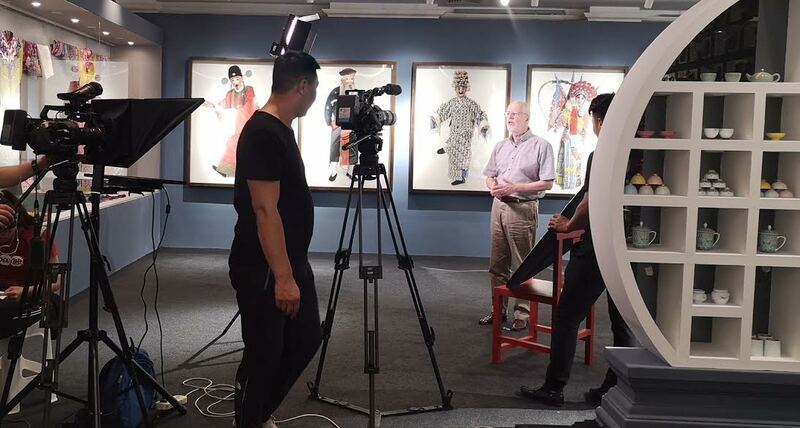 In 2017, President of NYFA Michael Young visited multiple schools in China, and the Academy has offered local workshops in Shanghai and Beijing. 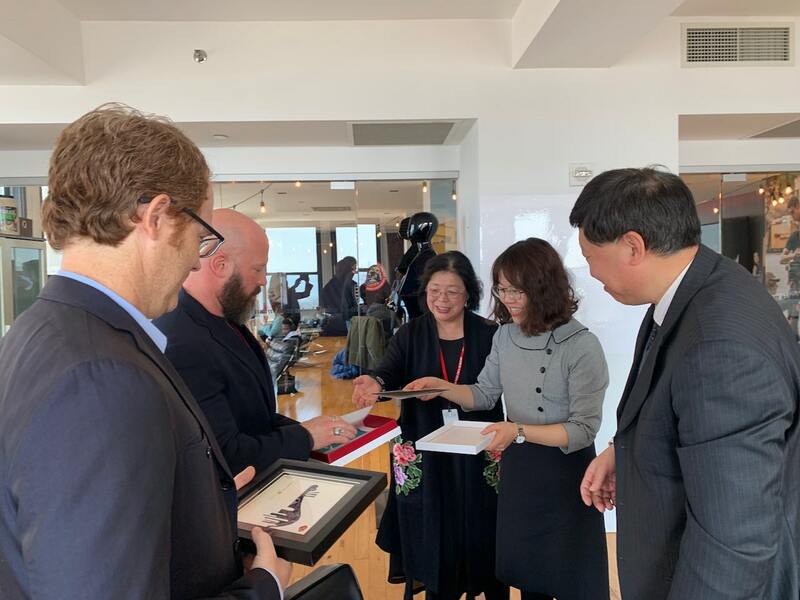 The New York Film Academy congratulates the Chinese GMFZ High School students on their completion of the 1-Week Animation Workshop, and warmly extends their gratitude for their exquisite Tea Ceremony!